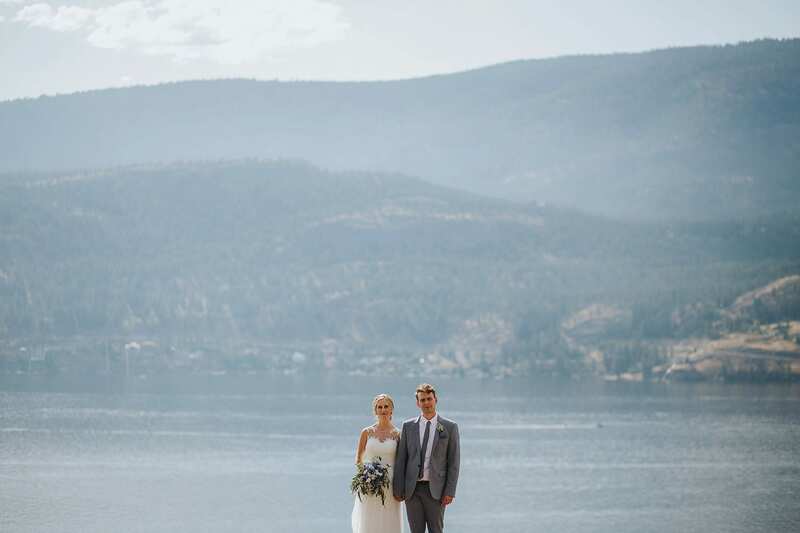 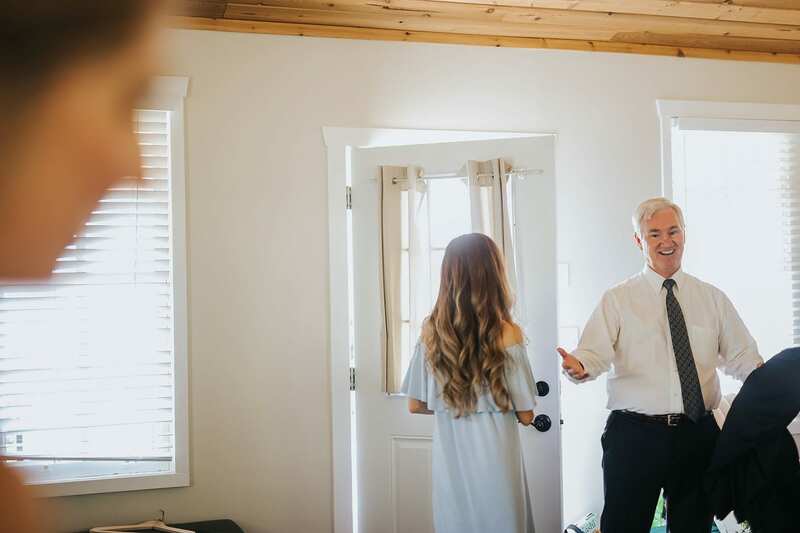 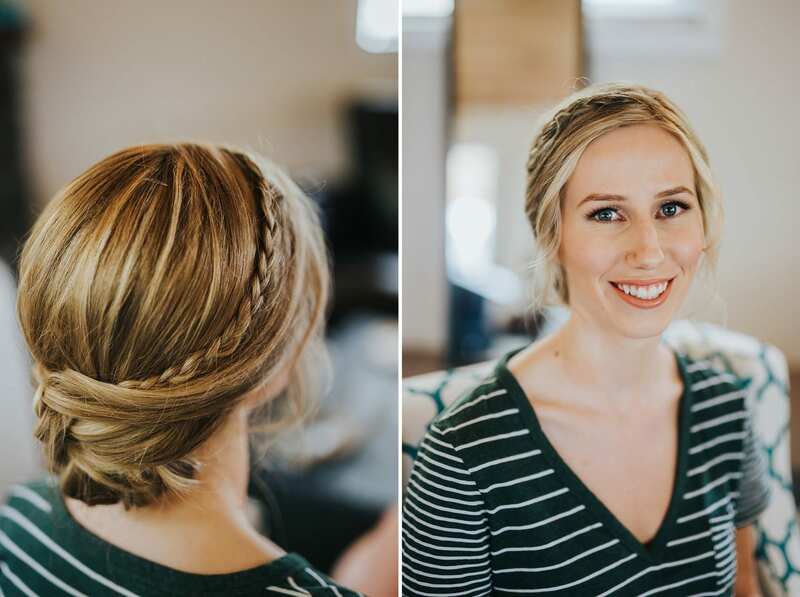 Samantha + Travis’ Two Eagles wedding in West Kelowna was so beautiful and you don’t want to miss those smokey, pink sunset portraits! 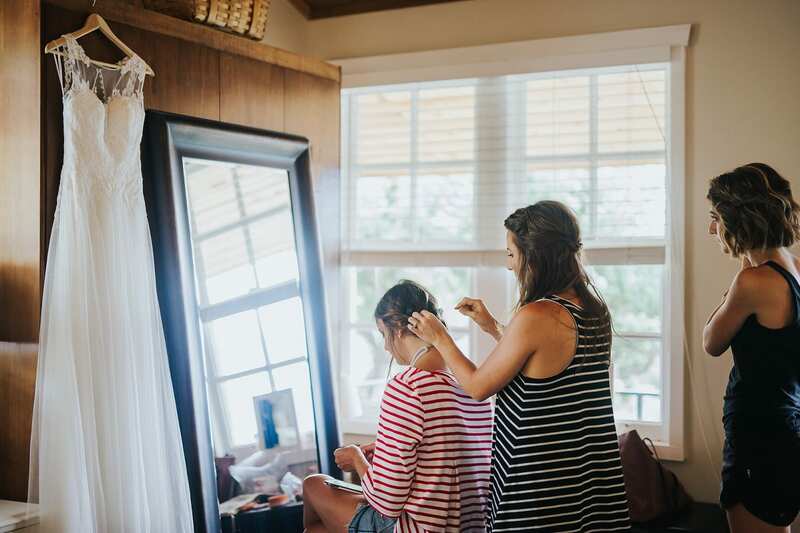 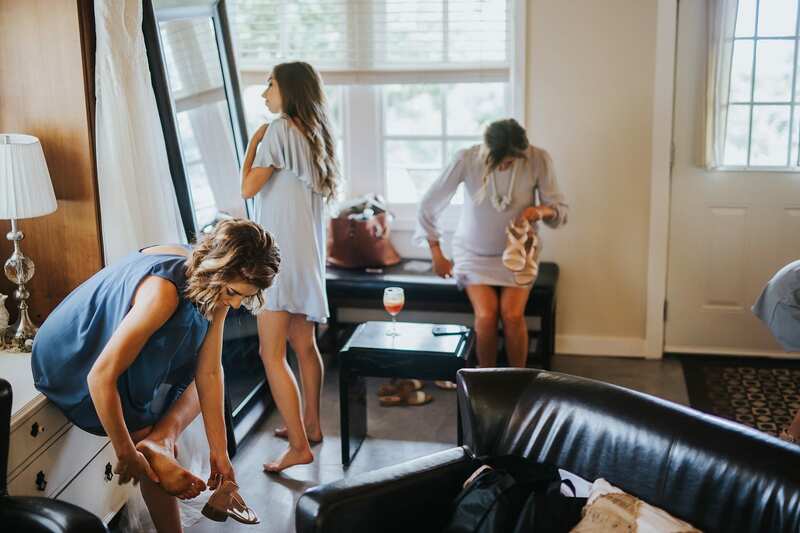 The day began with Sam and her girls getting ready at her friends home in Lake Country. 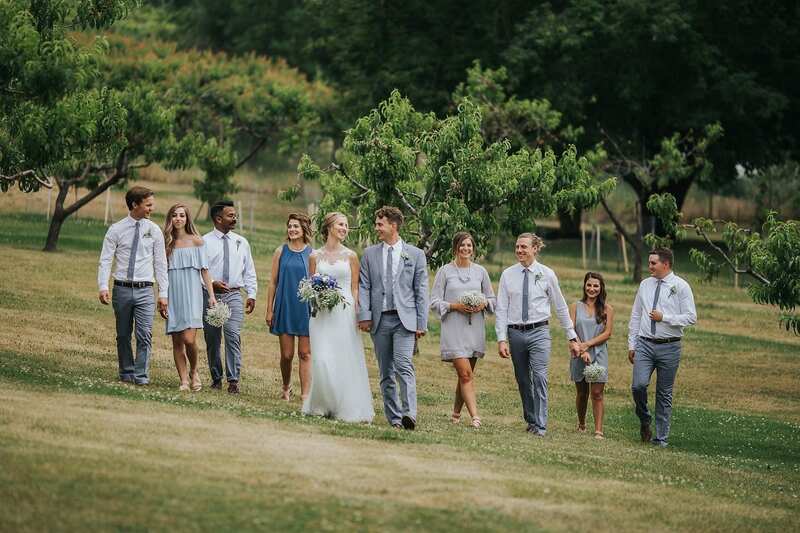 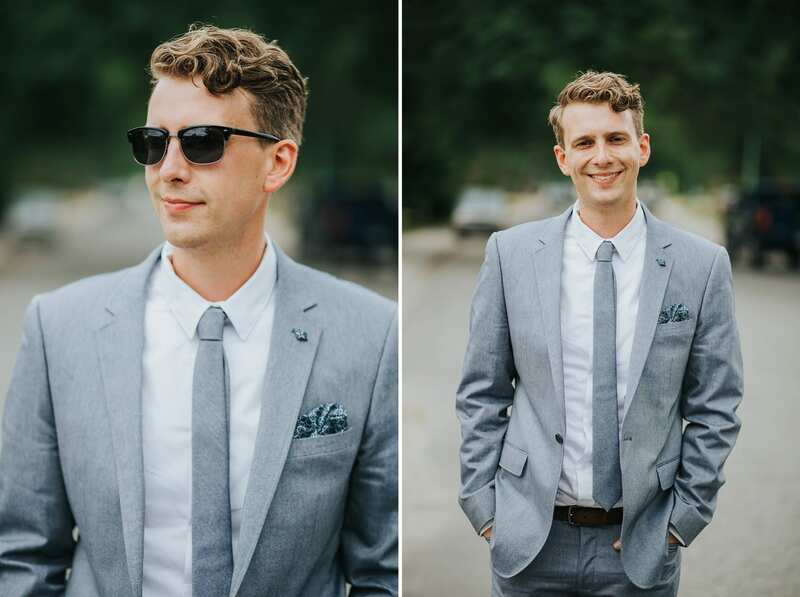 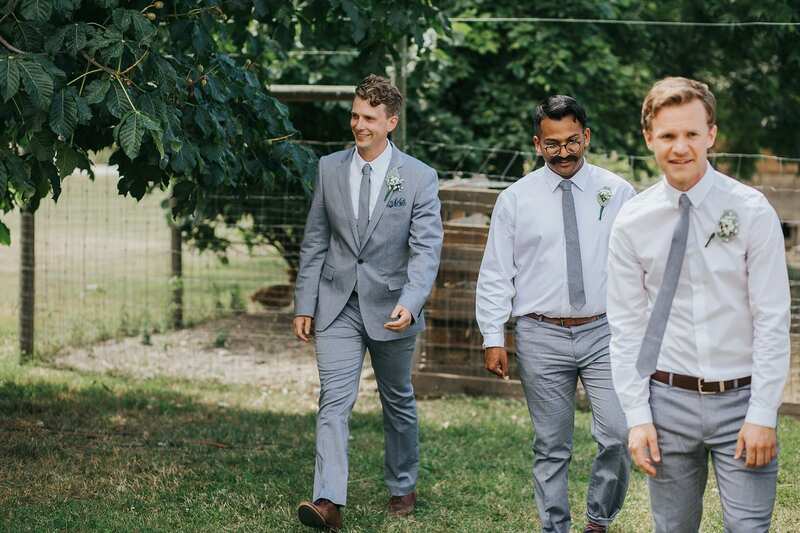 Sam was so relaxed and everybody was full of laughs as they watched the guests arrive for the wedding on the front lawn. 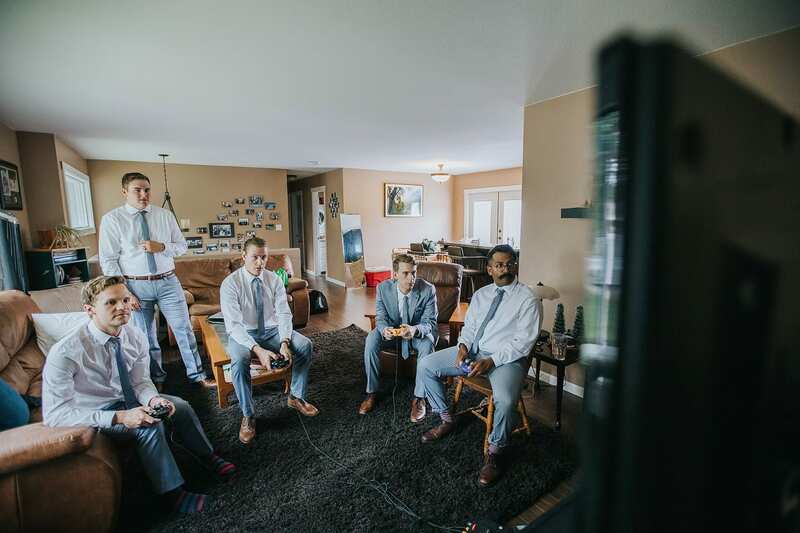 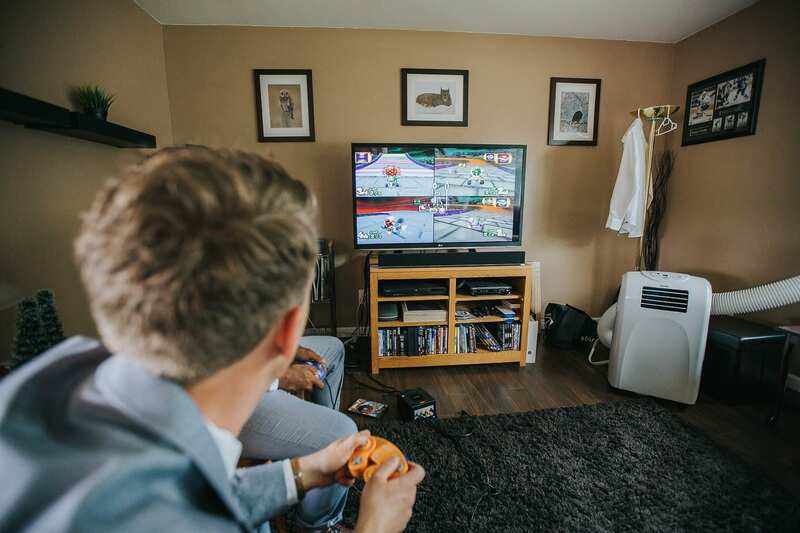 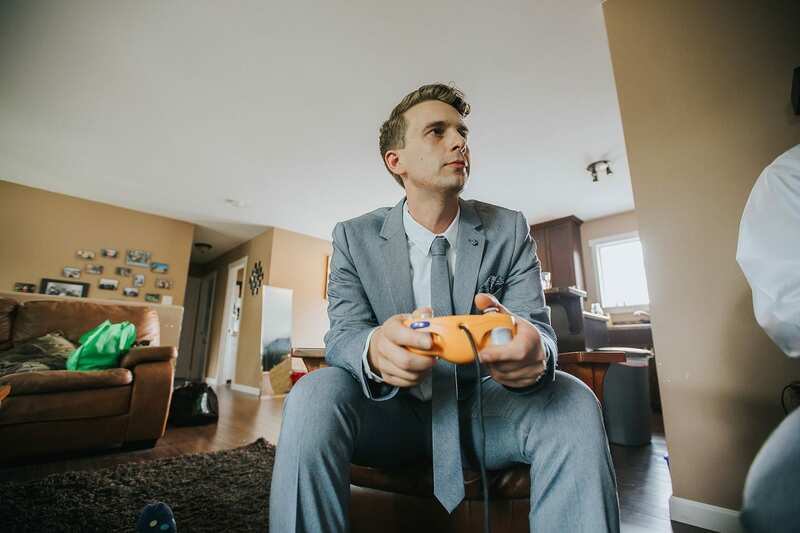 Travis and the boys made sure to squeeze in a game of Mario Cart before heading off to the ceremony. 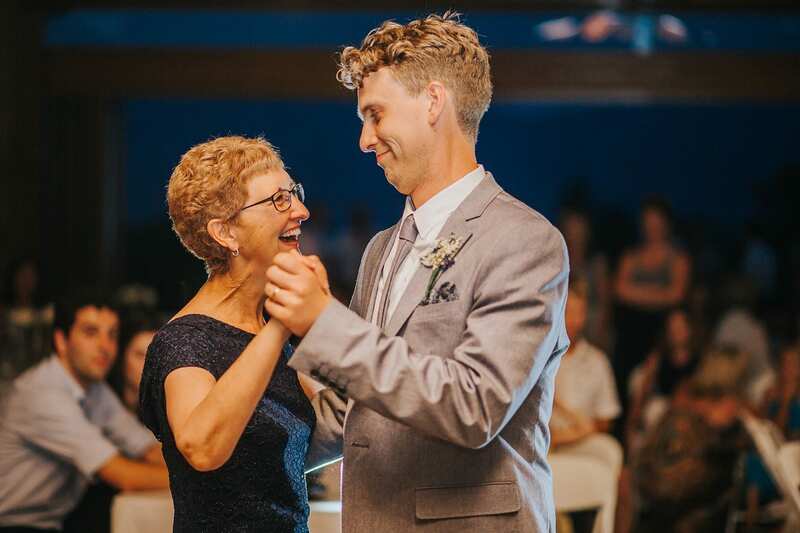 Congrats to Alex for taking the gold in that race! 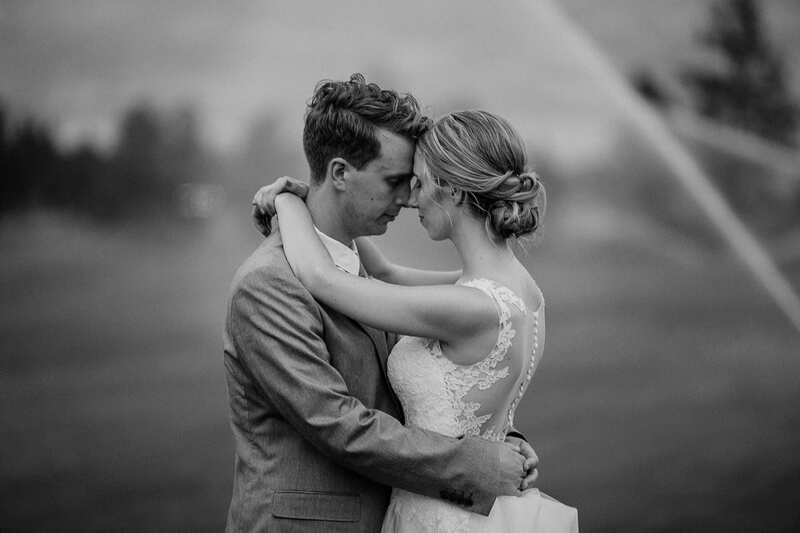 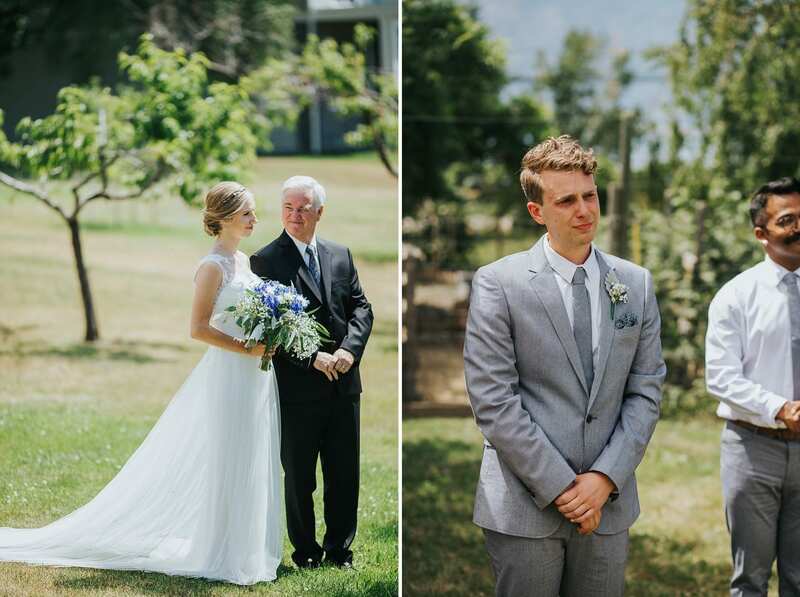 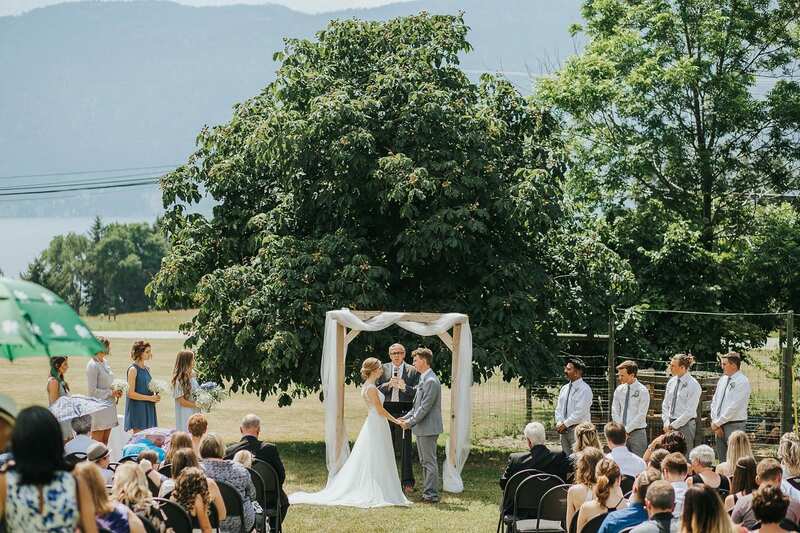 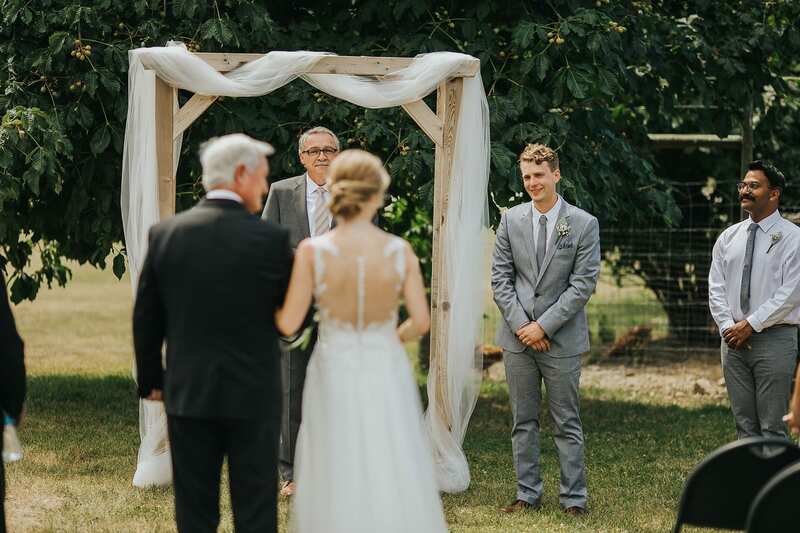 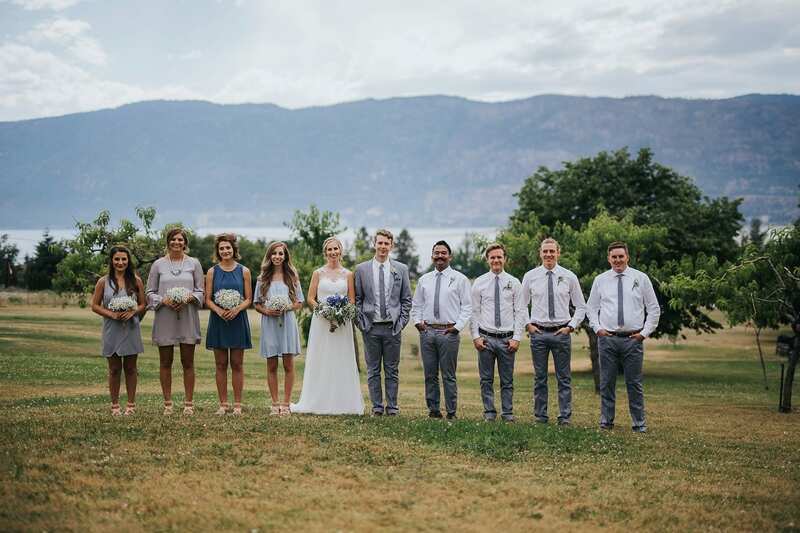 The ceremony was held on the front lawn of a friend’s private residence in Lake Country, BC. 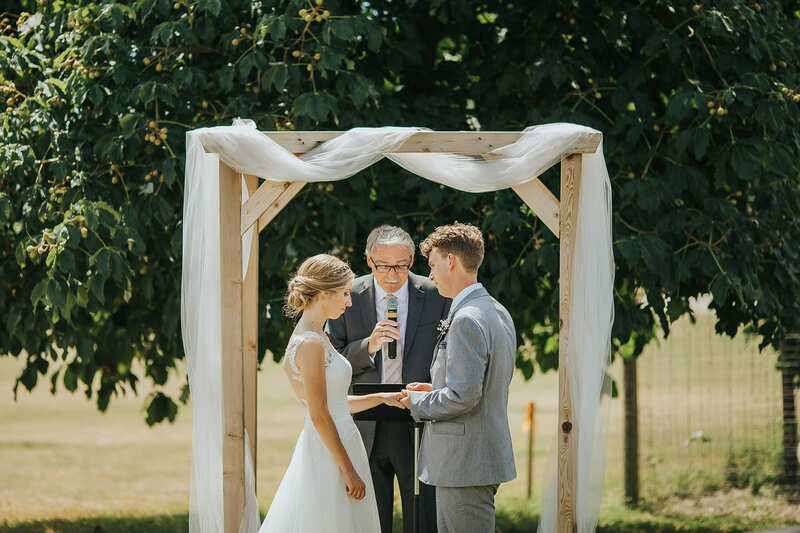 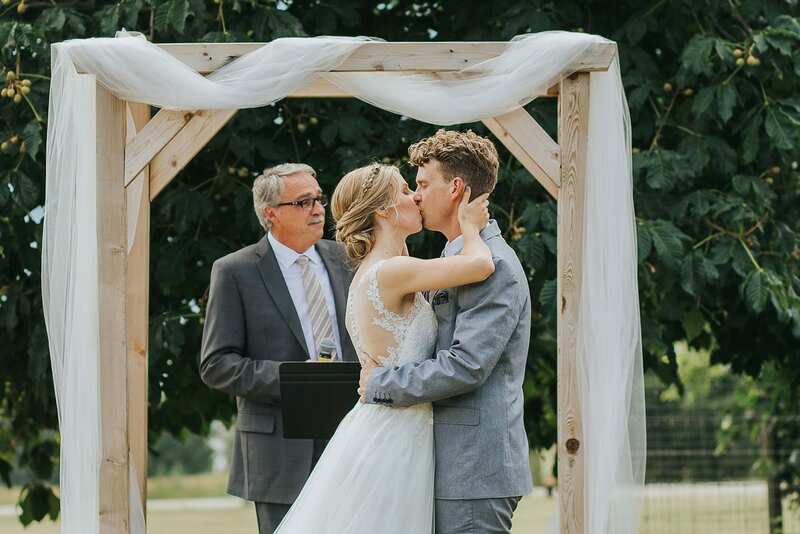 Pastor Matt Duffy, Travis’ long-time friend and mentor, officiated the wedding and emotions were pretty high as these two said, “I do”. 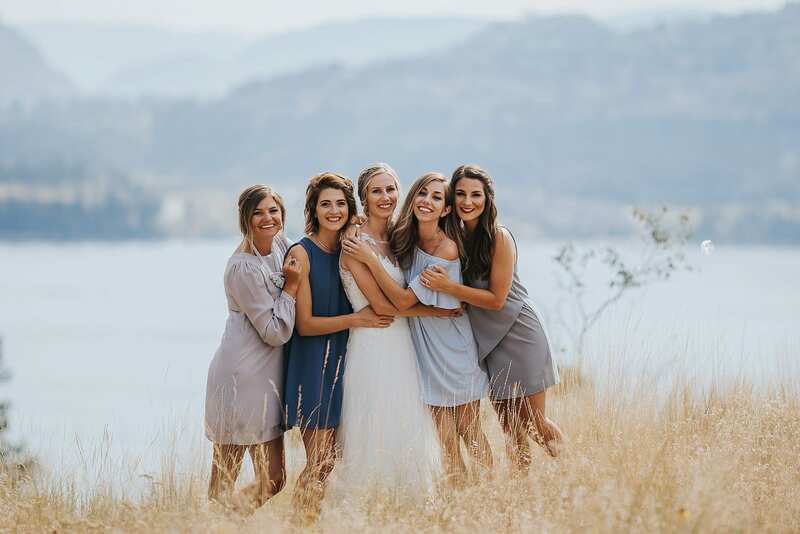 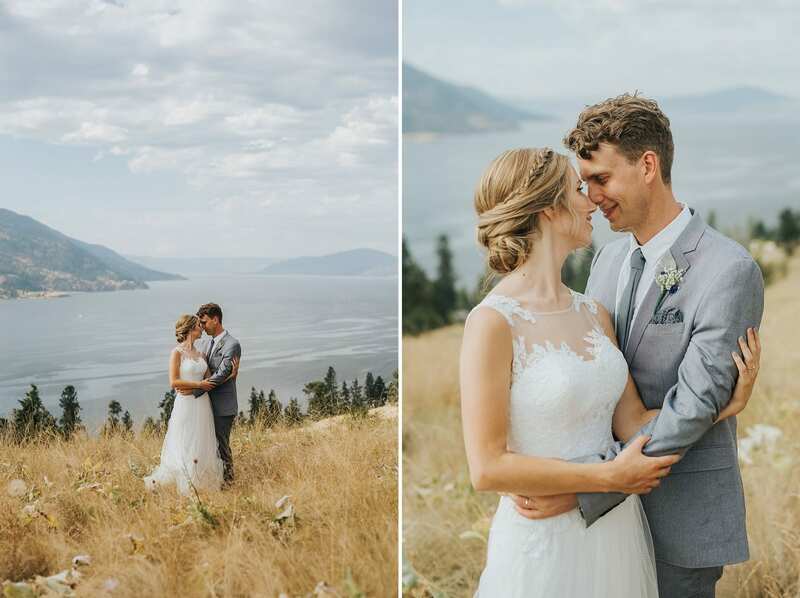 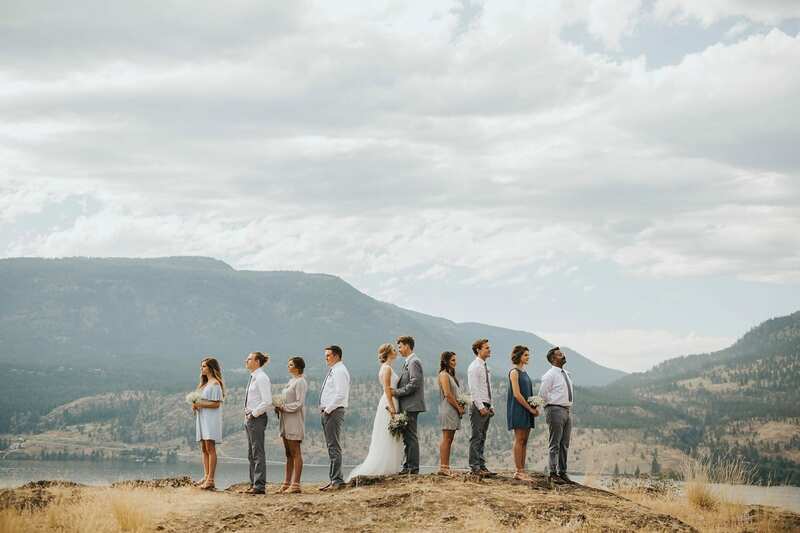 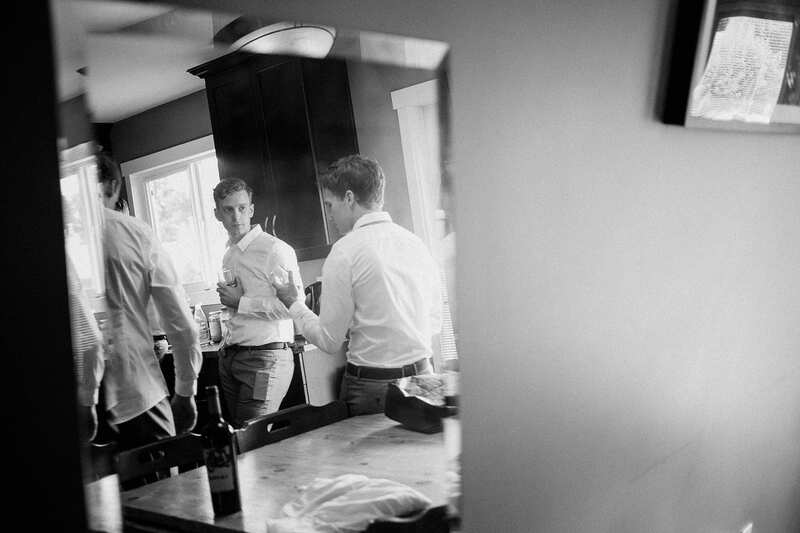 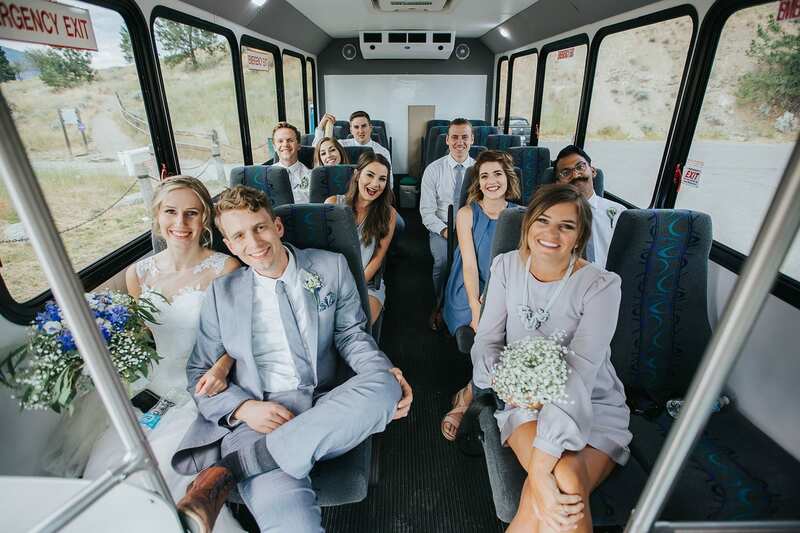 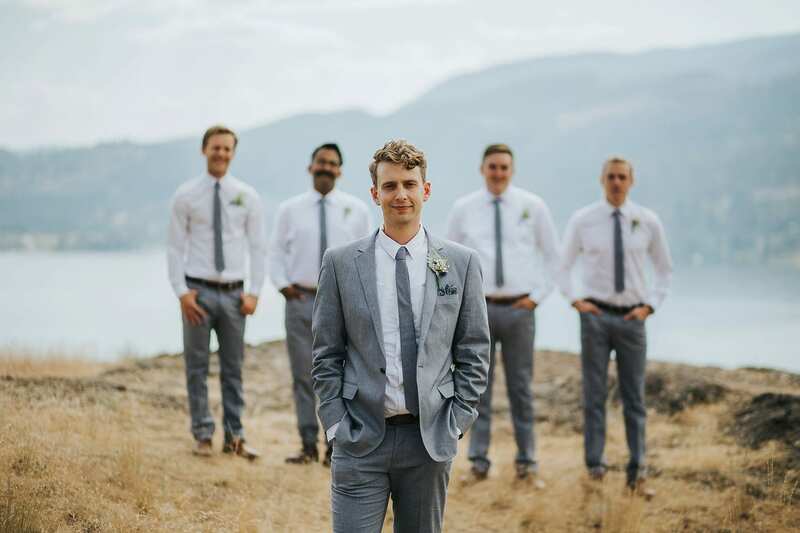 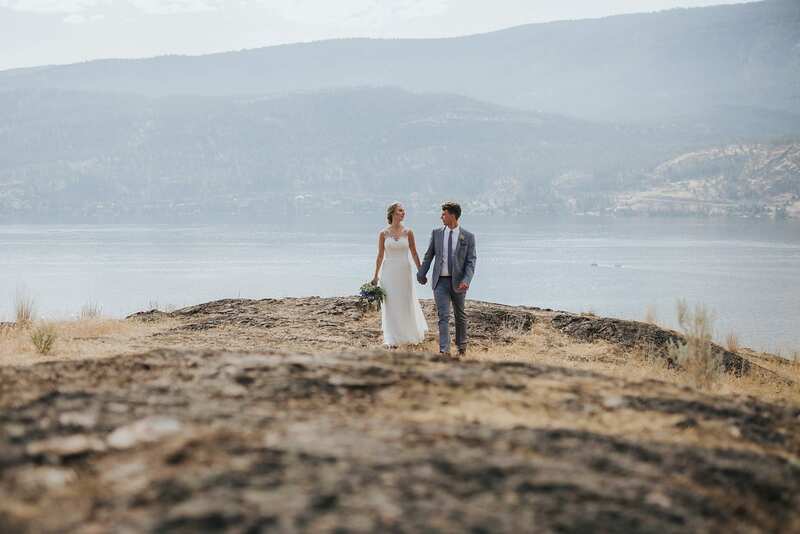 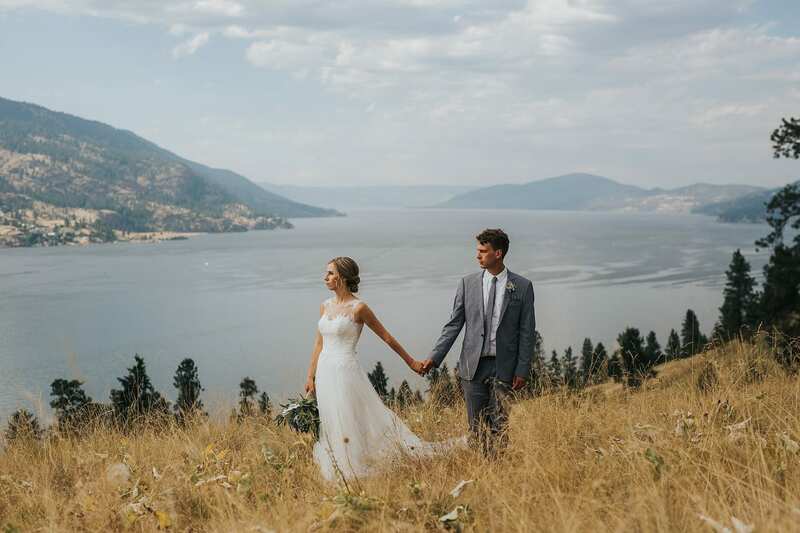 After the ceremony, we headed to Knox Mountain to grab that great Kelowna scenery with the bridal party and Travis + Sam. 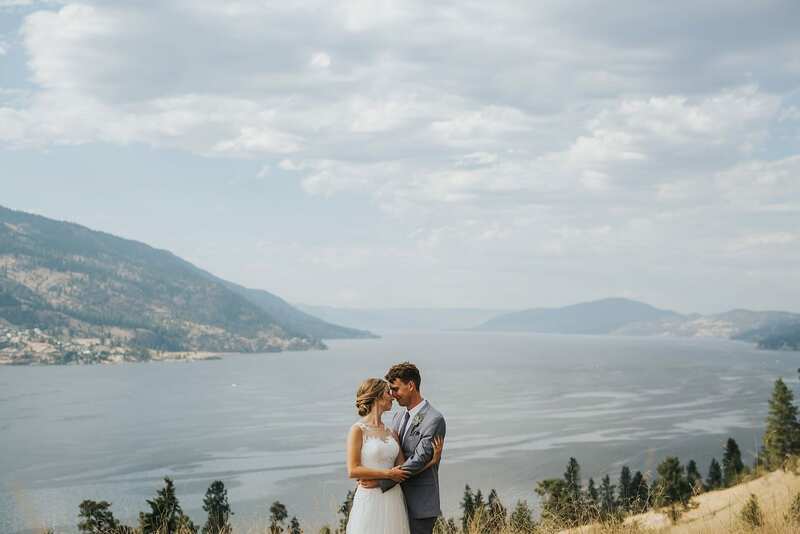 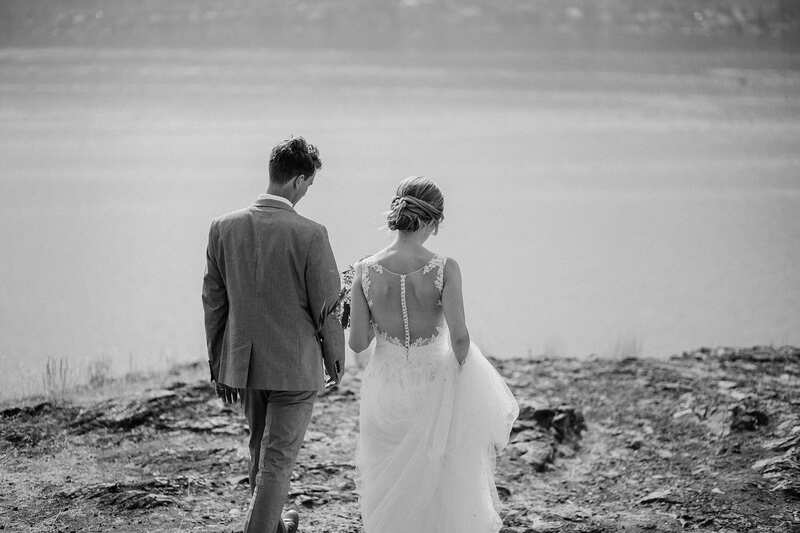 This is one of our favourite locations as it provides views up and down the lake with mountains all around! 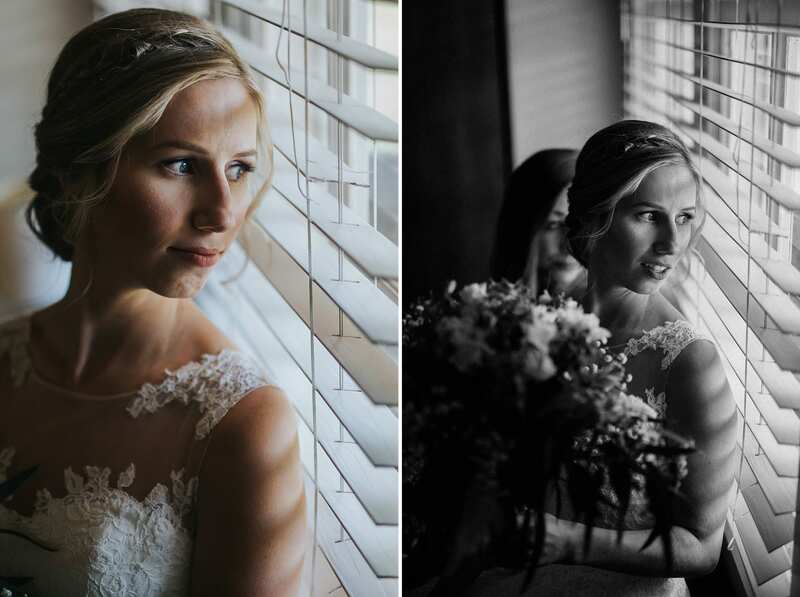 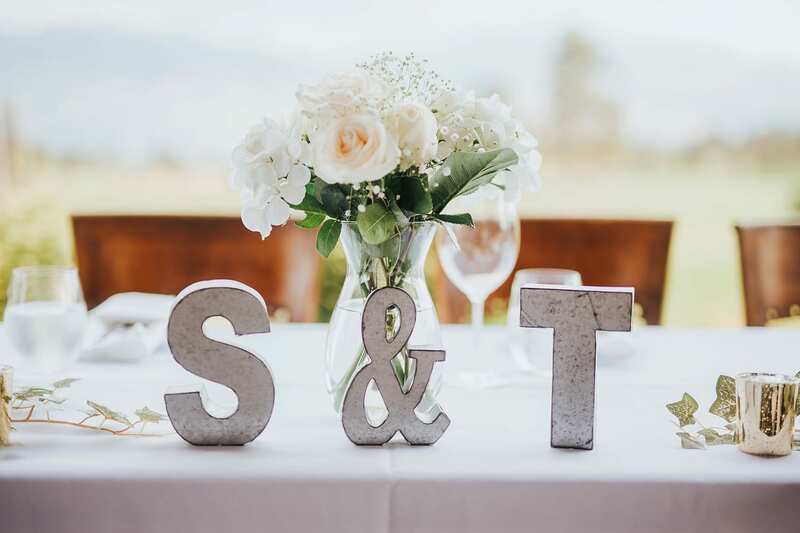 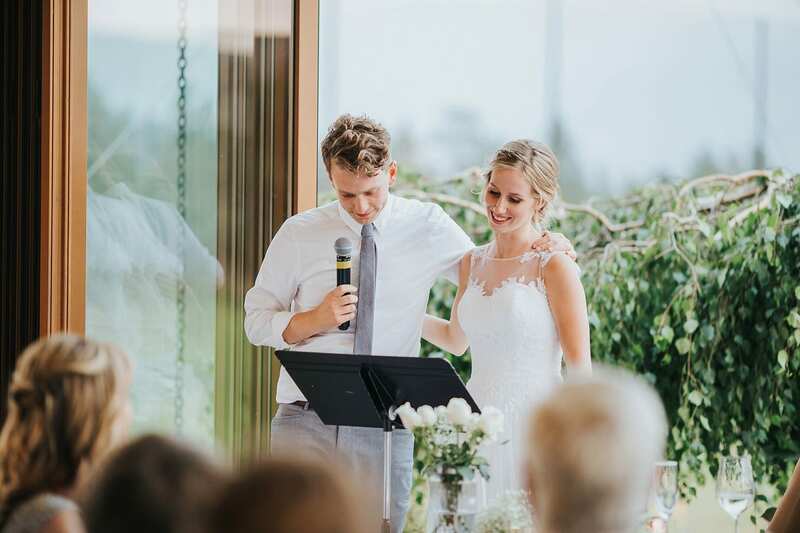 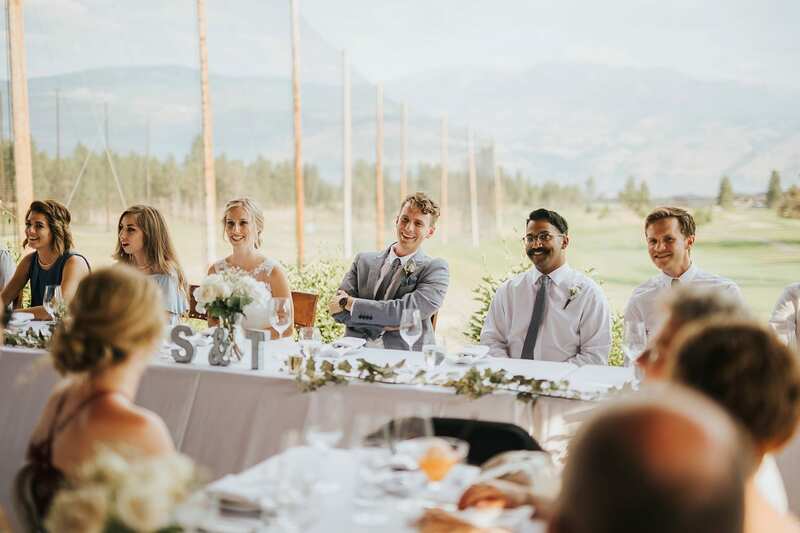 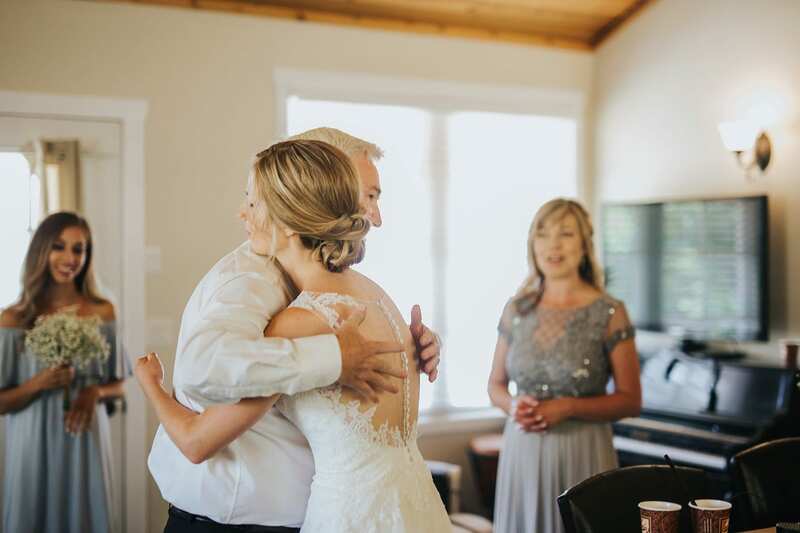 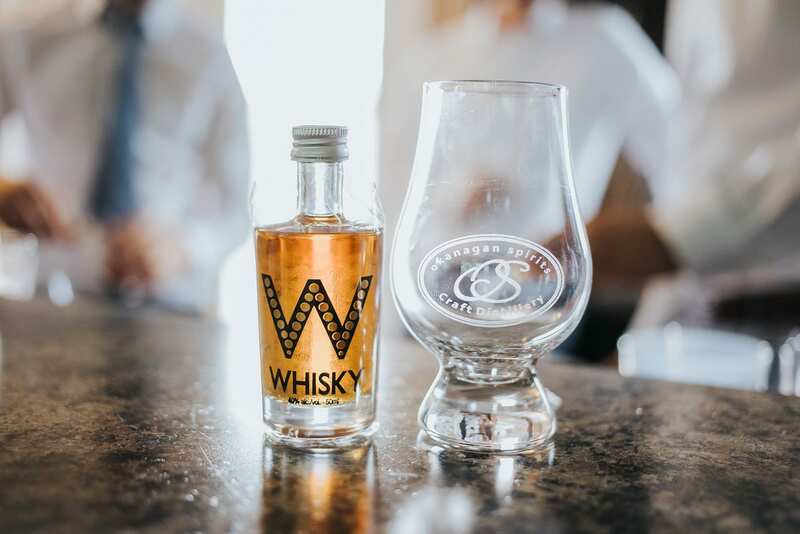 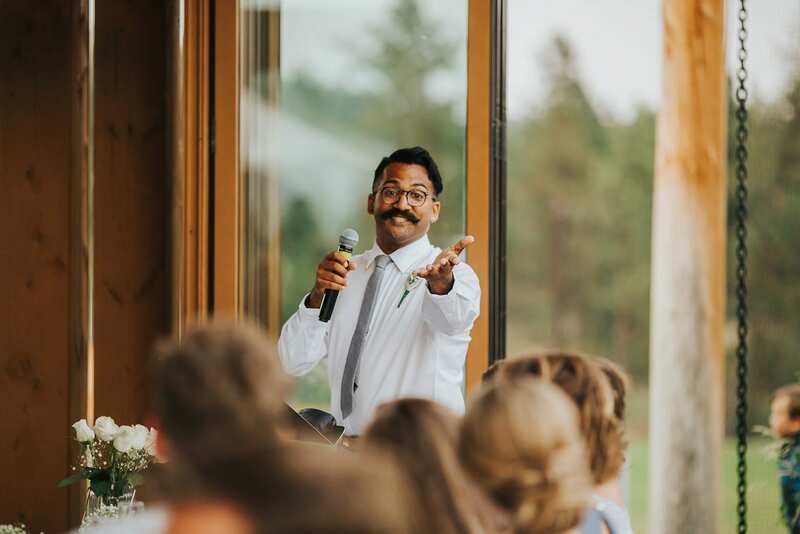 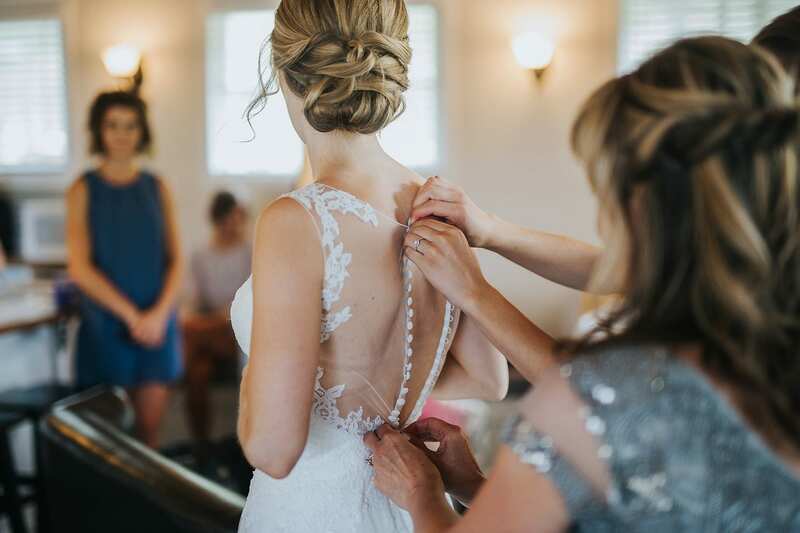 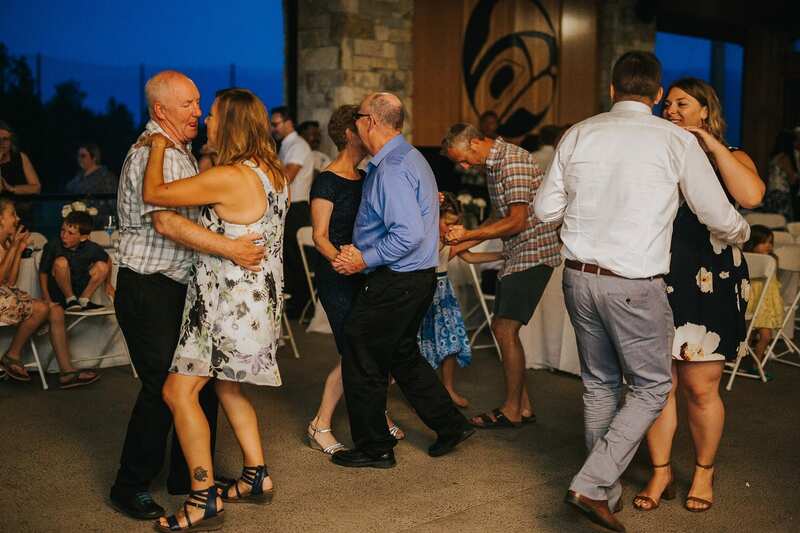 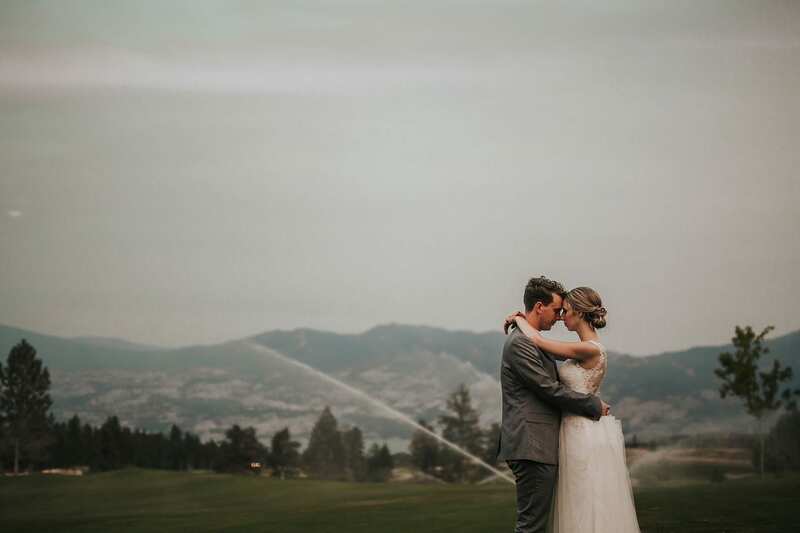 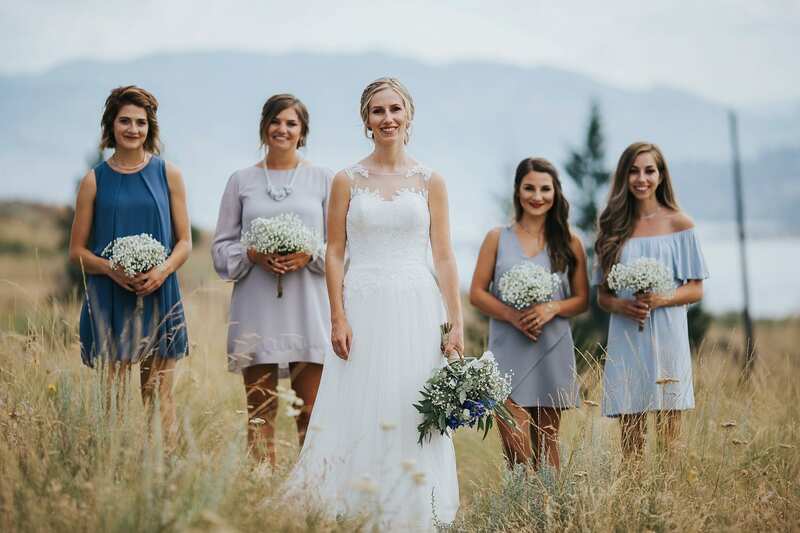 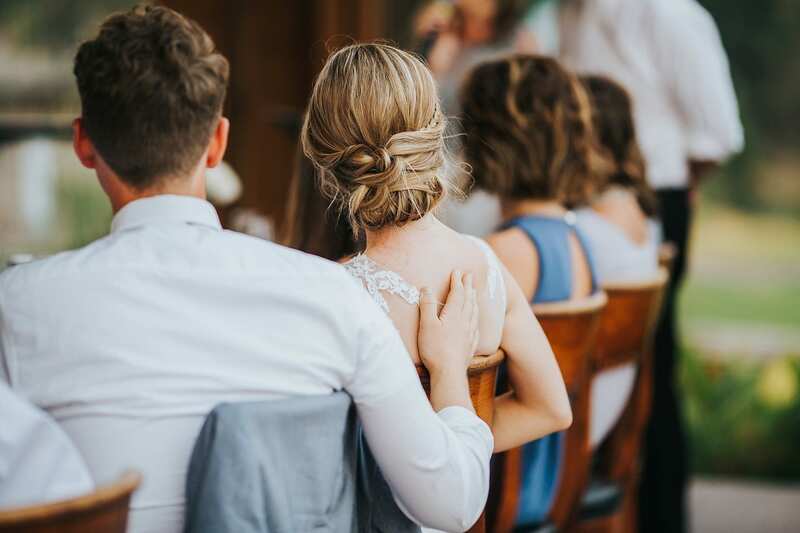 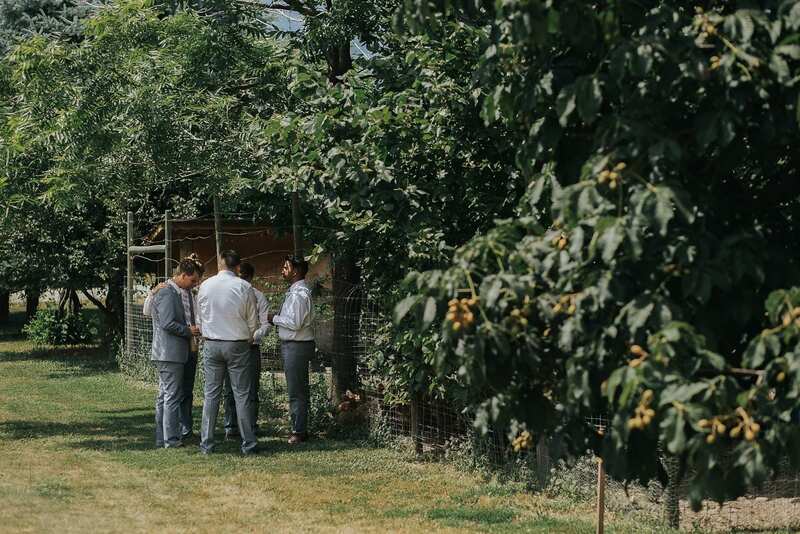 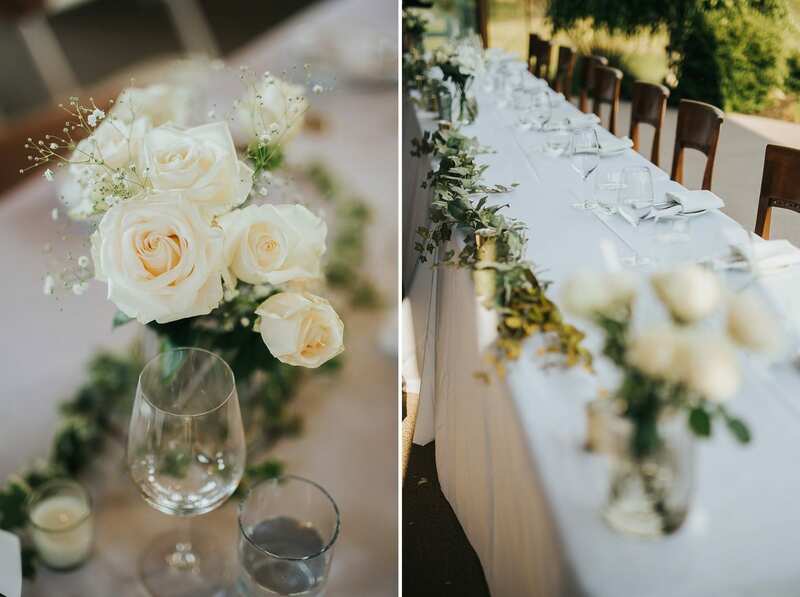 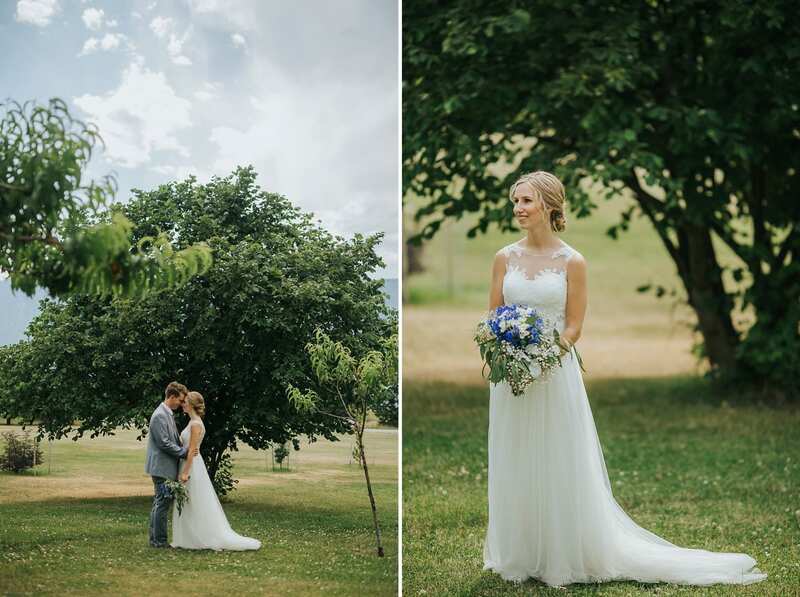 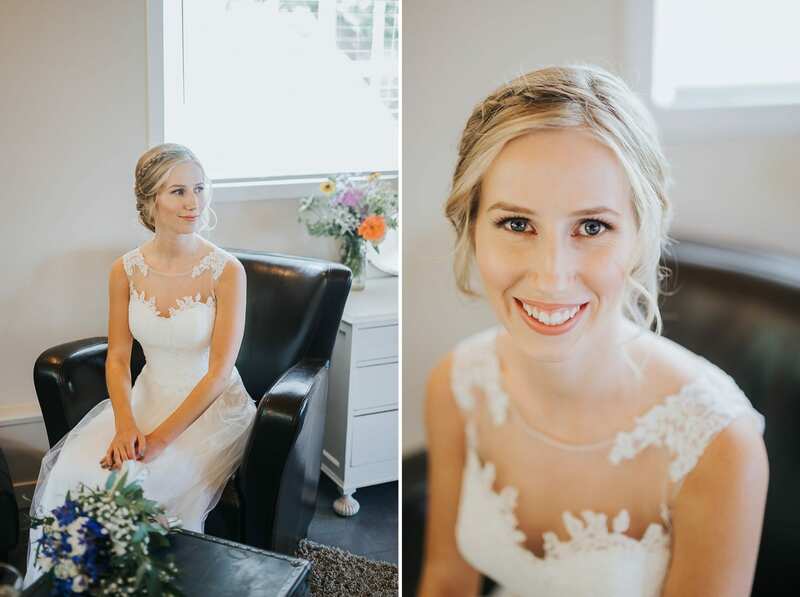 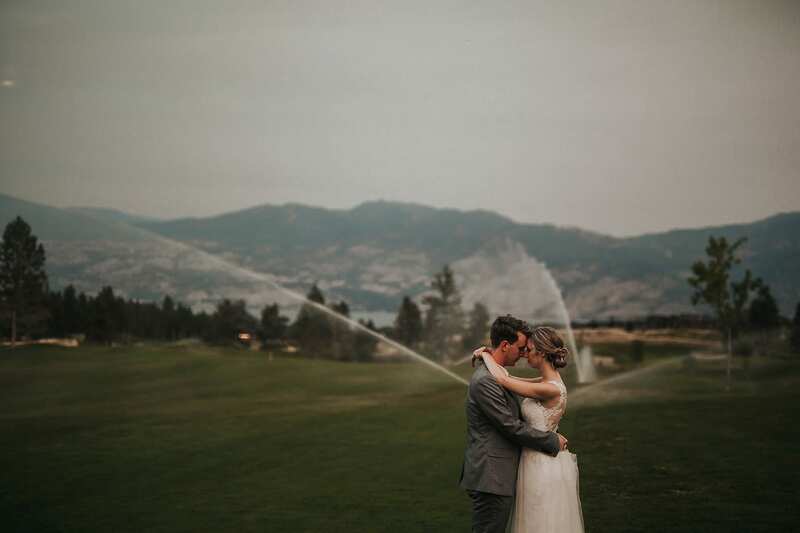 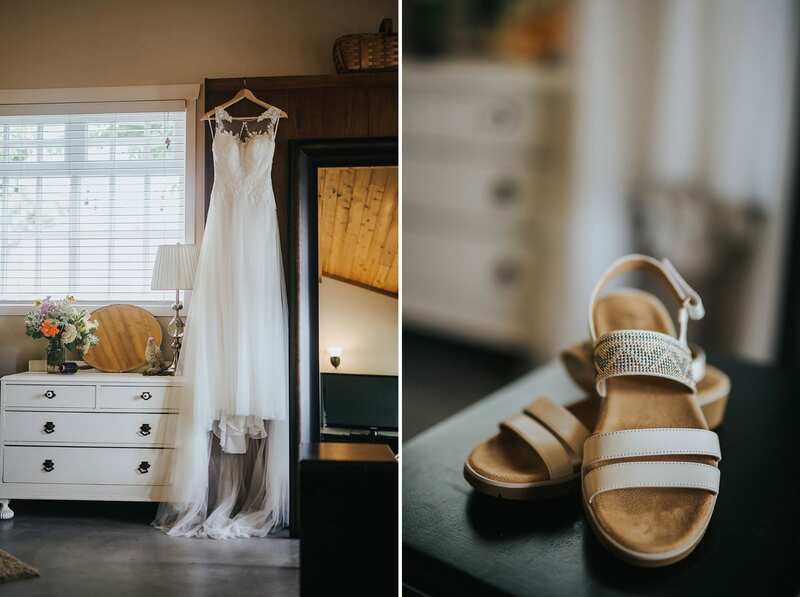 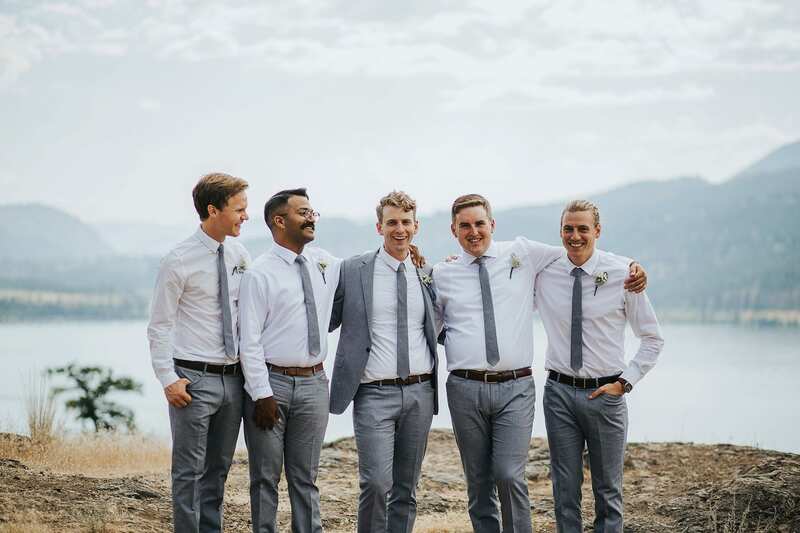 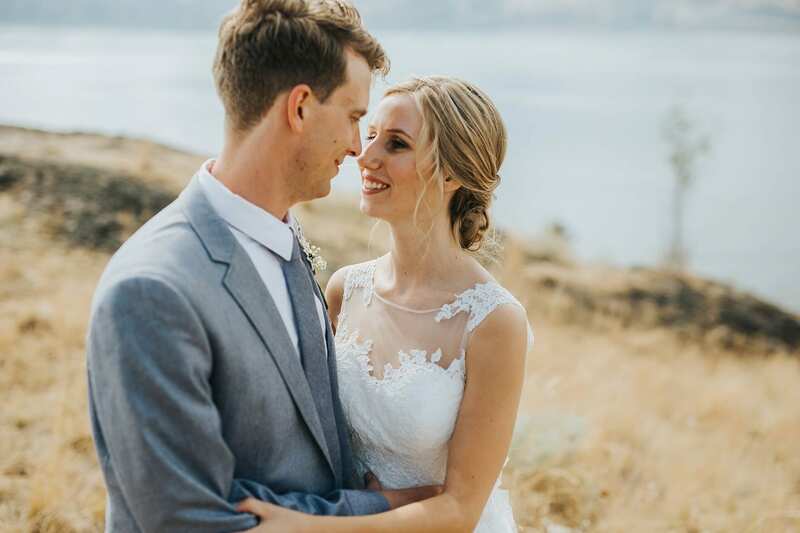 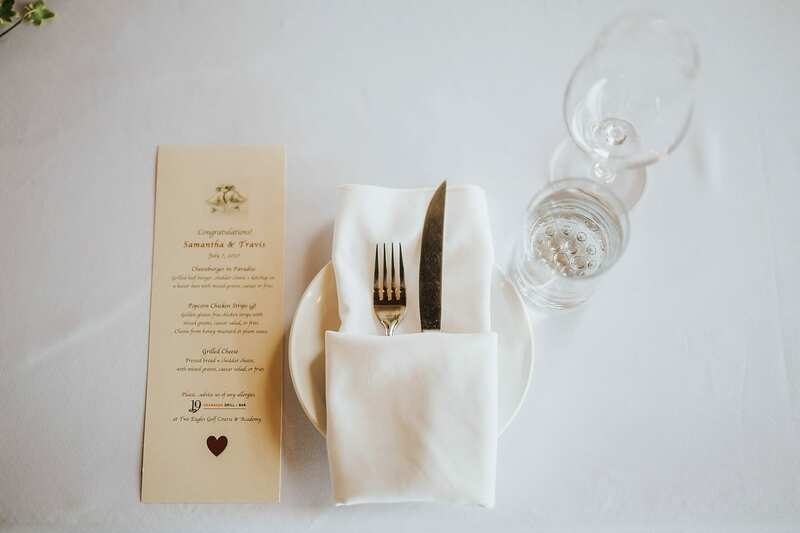 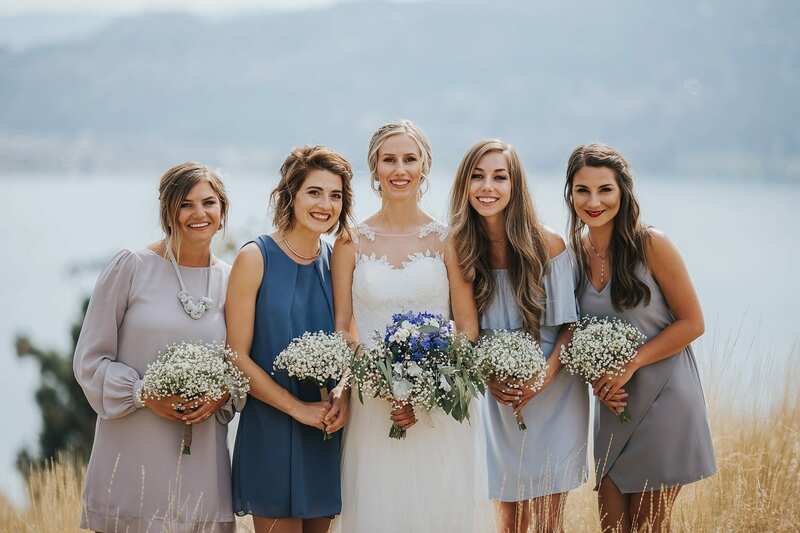 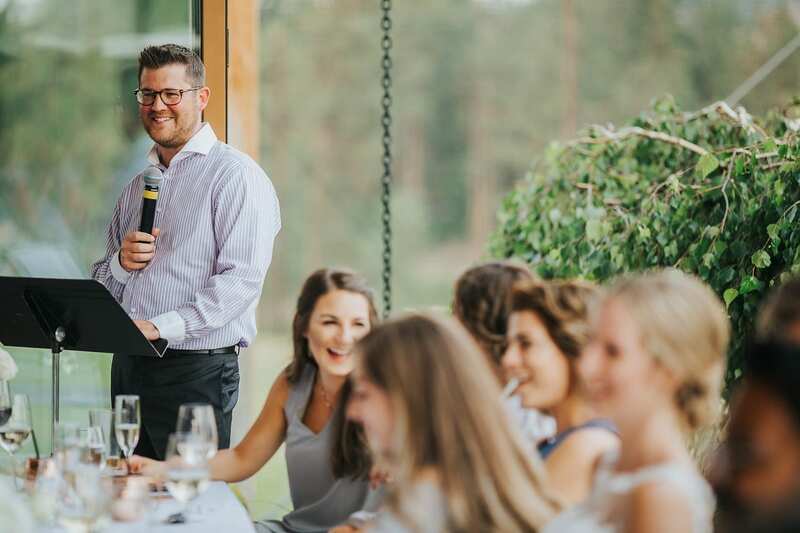 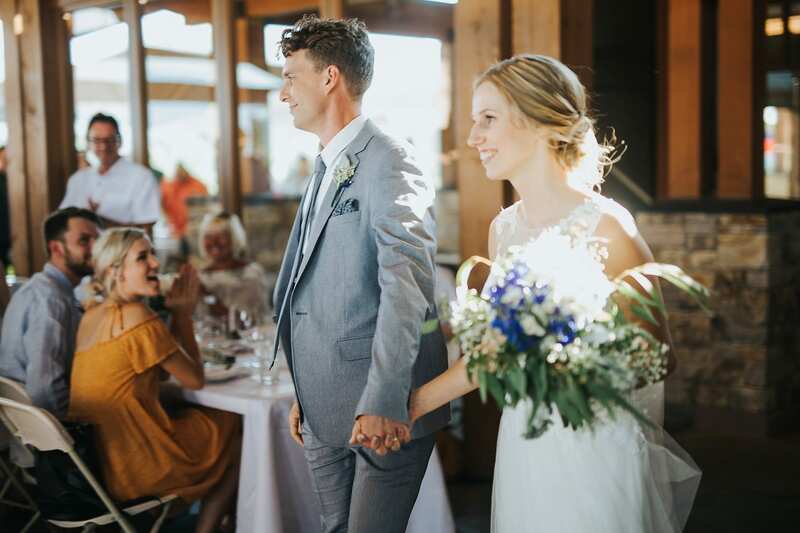 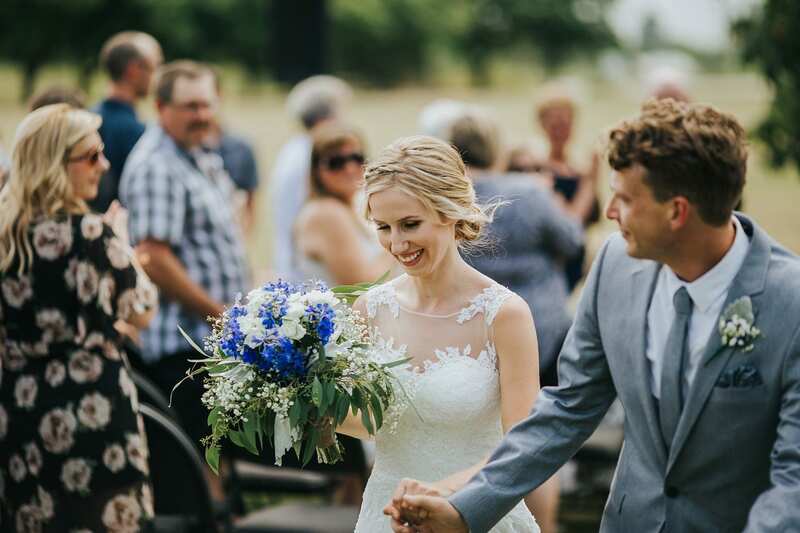 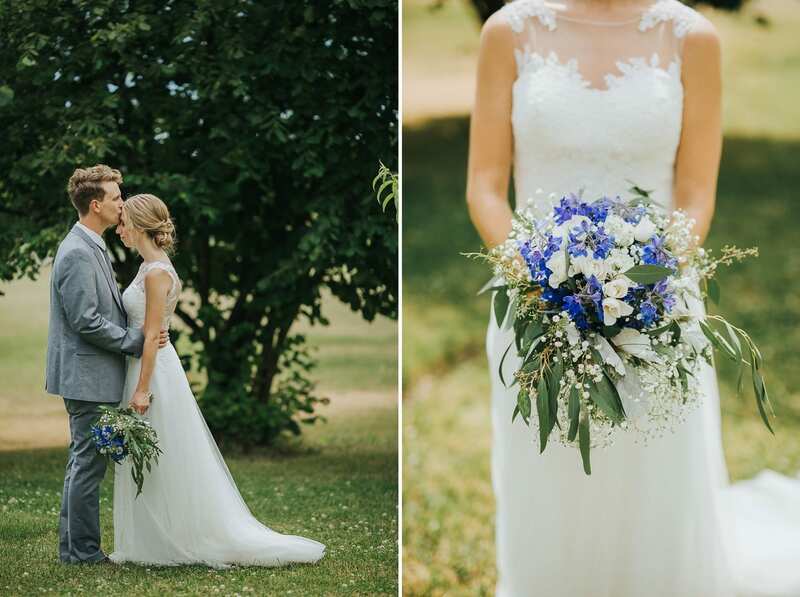 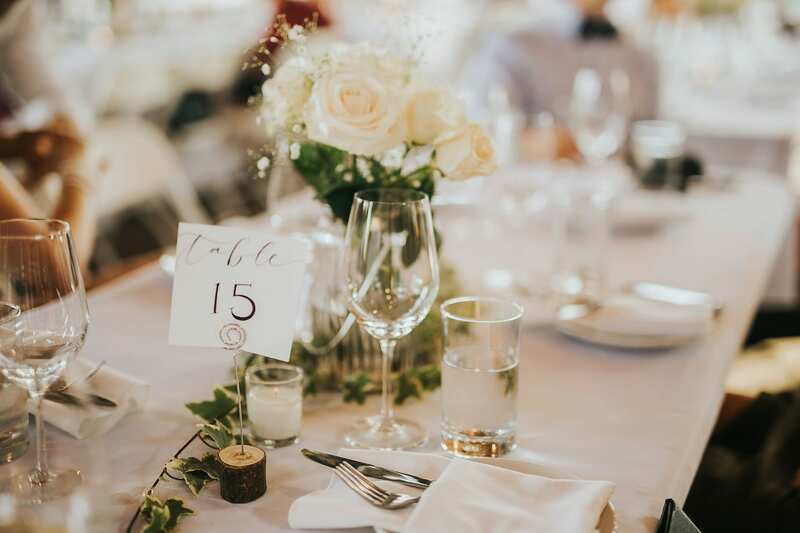 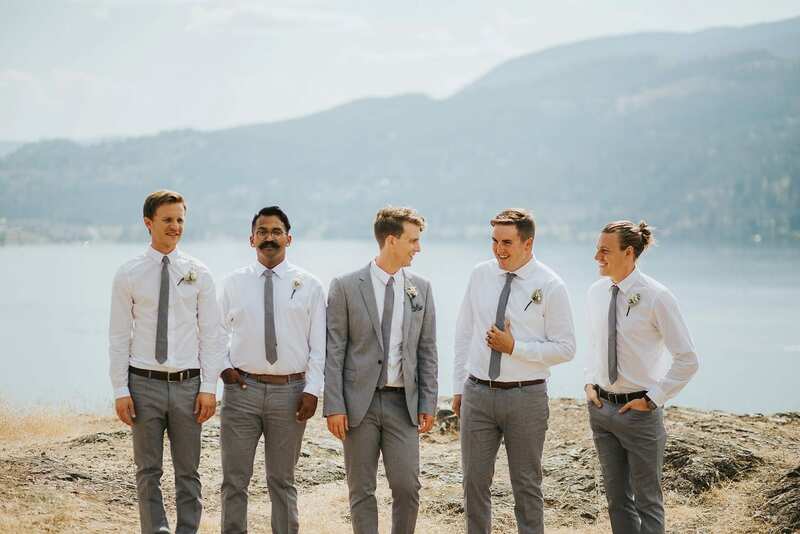 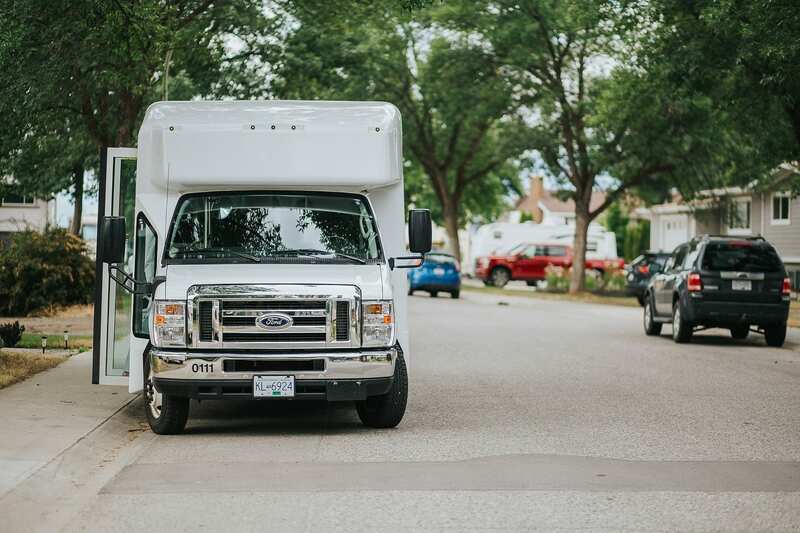 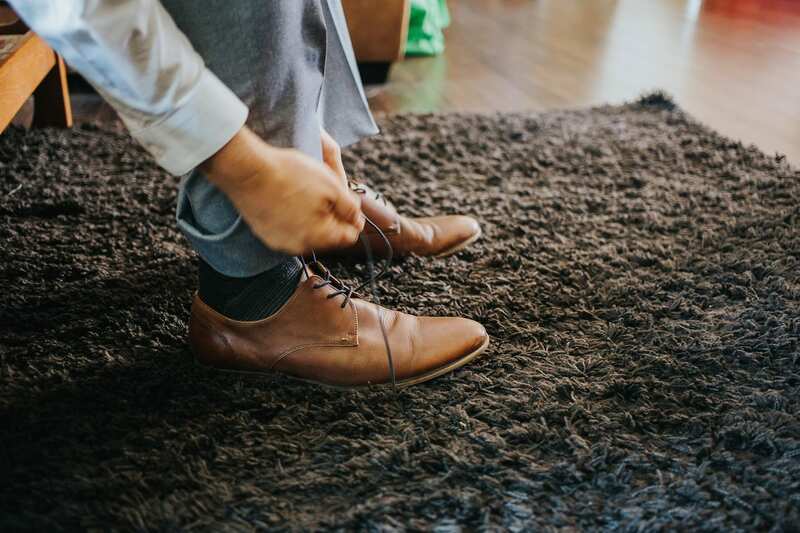 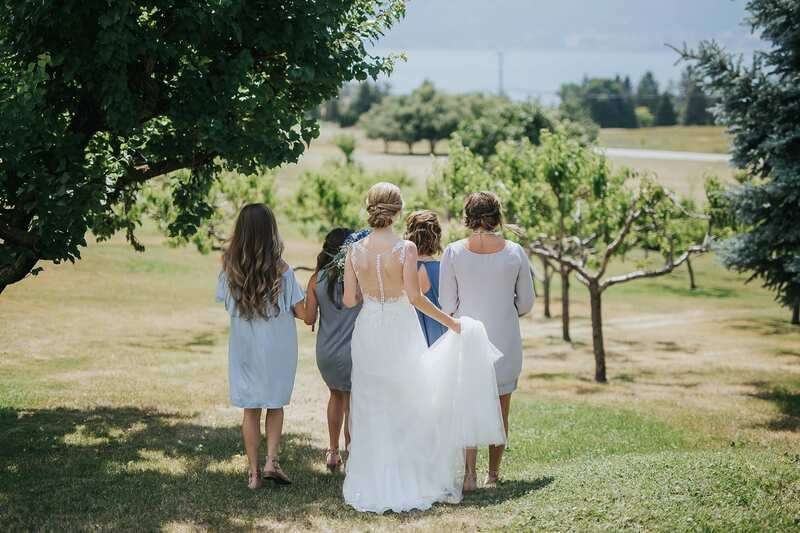 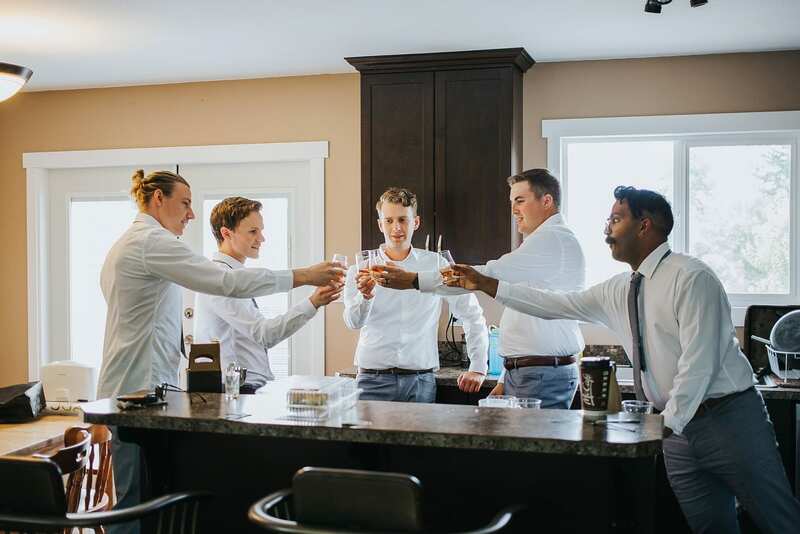 The reception was held at Two Eagles Golf Course in West Kelowna where the open air room was sweetly decorated with flowers, touches of greenery, and classic white everywhere. 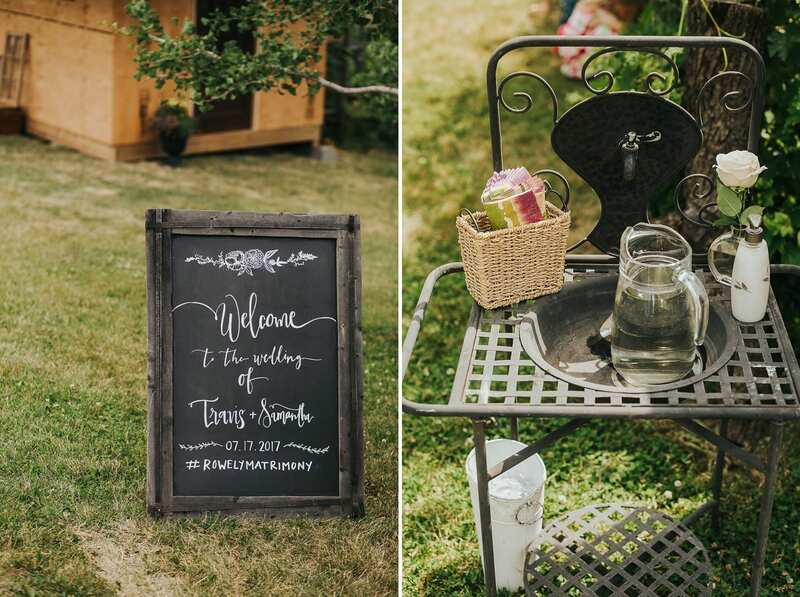 The donuts from Ratio and Specialty Bakery were delicious and we loved that tasty dessert offering! 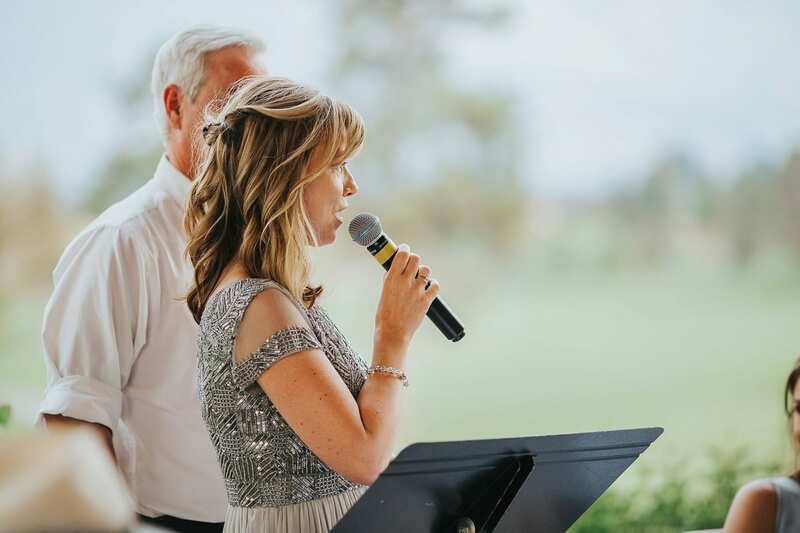 Speeches were lively and touching and there was such a strong sense of community throughout the room. 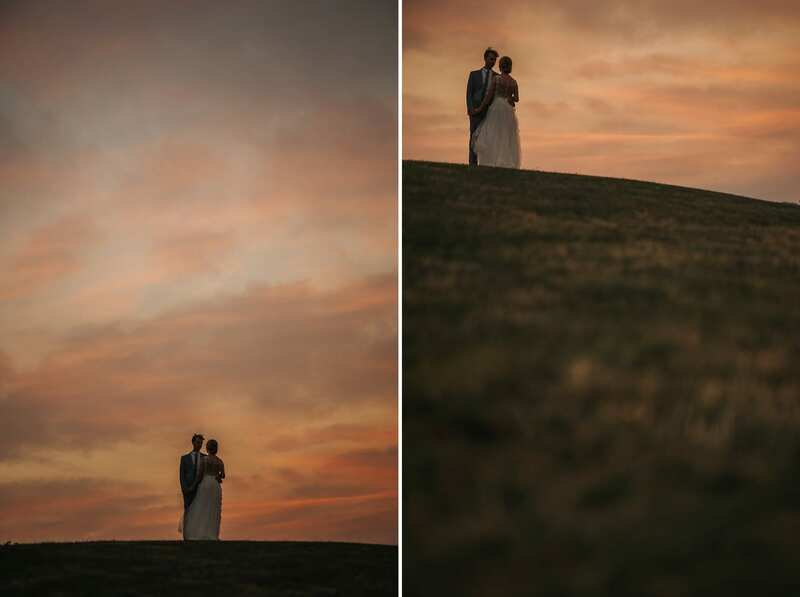 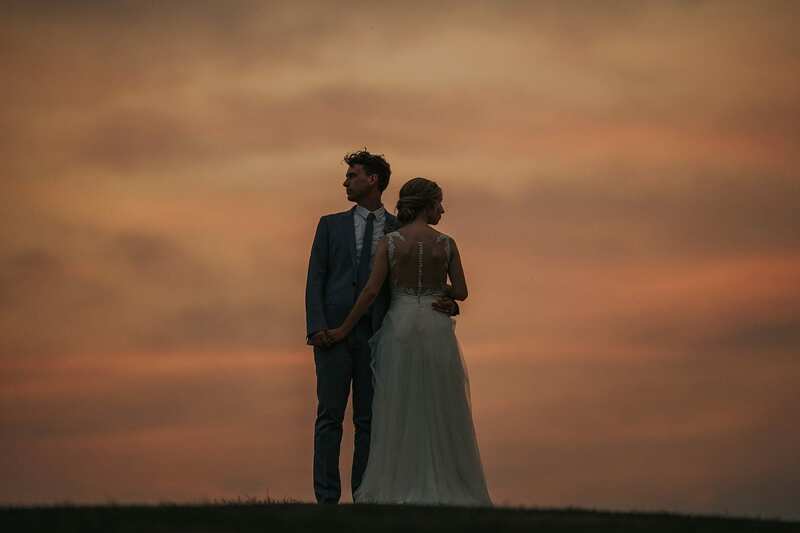 Afterward, we popped outside to capture the pink, smokey sunset and create a few really dramatic portraits! 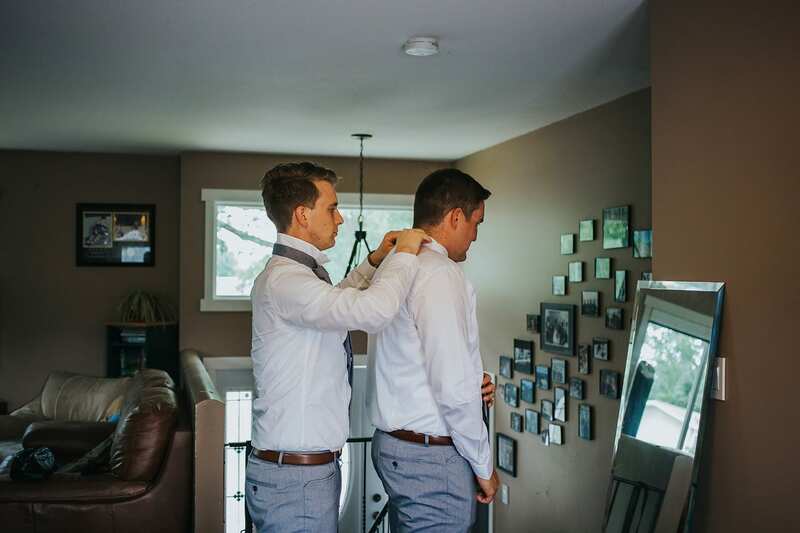 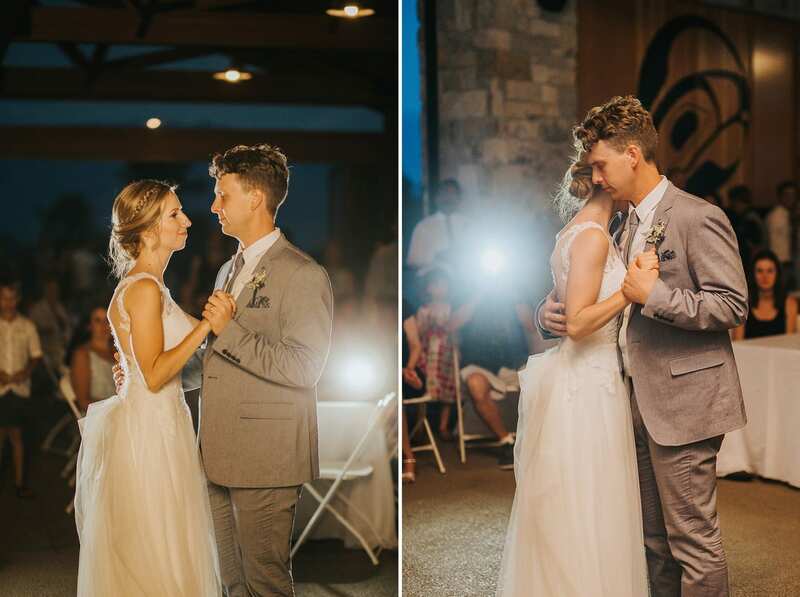 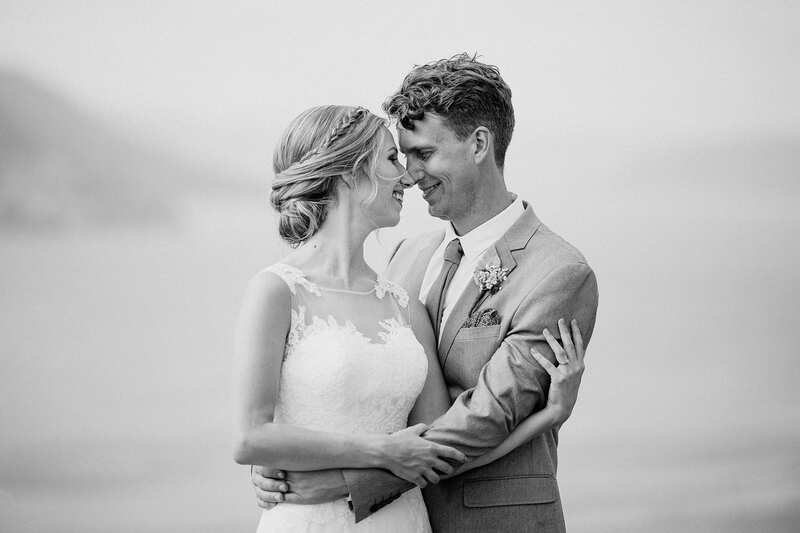 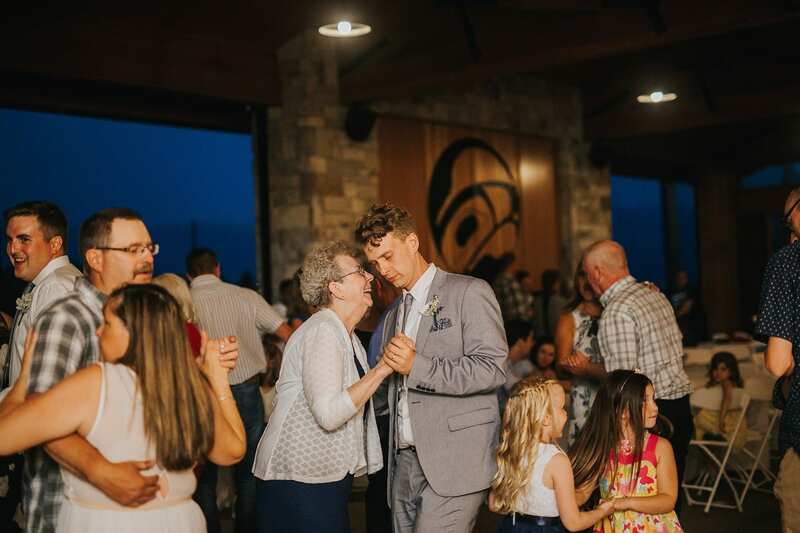 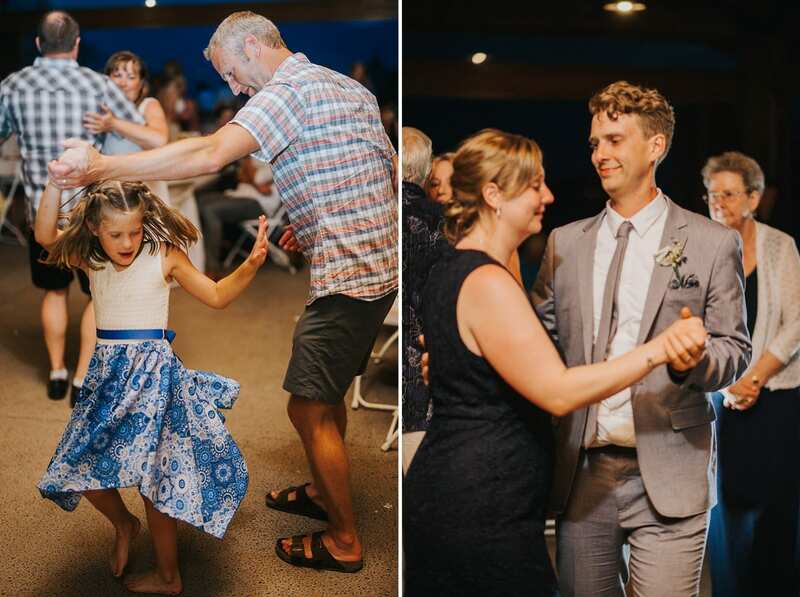 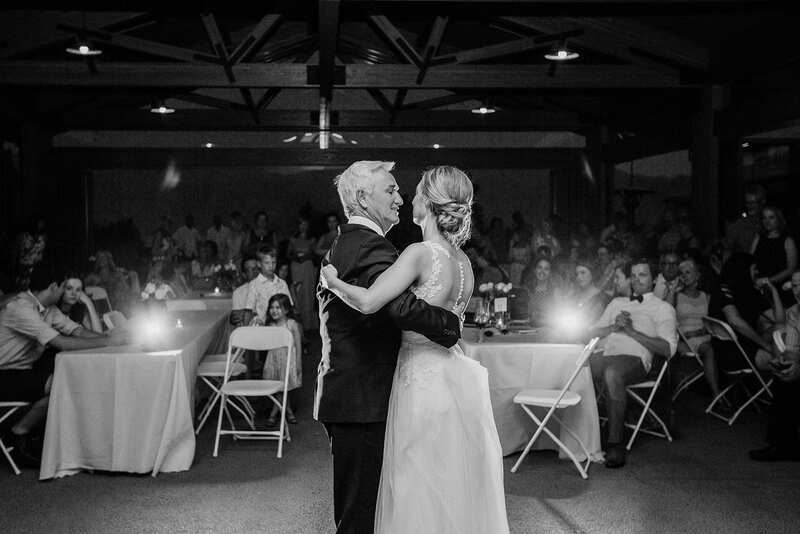 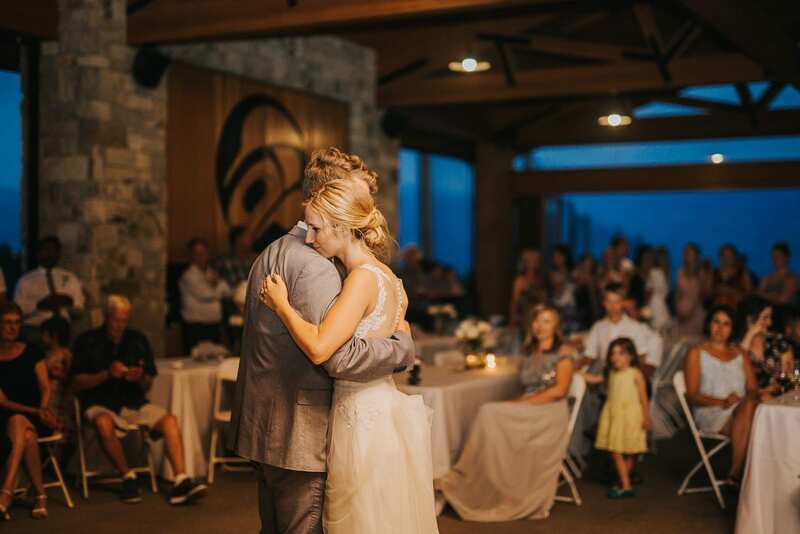 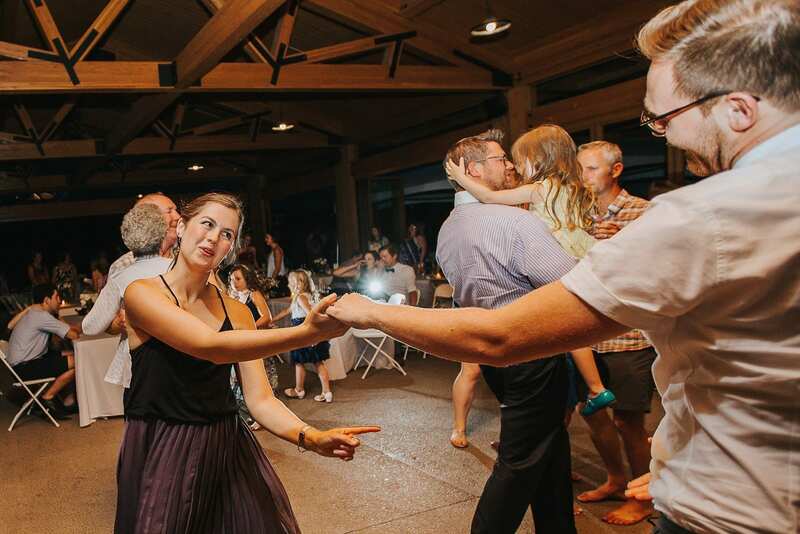 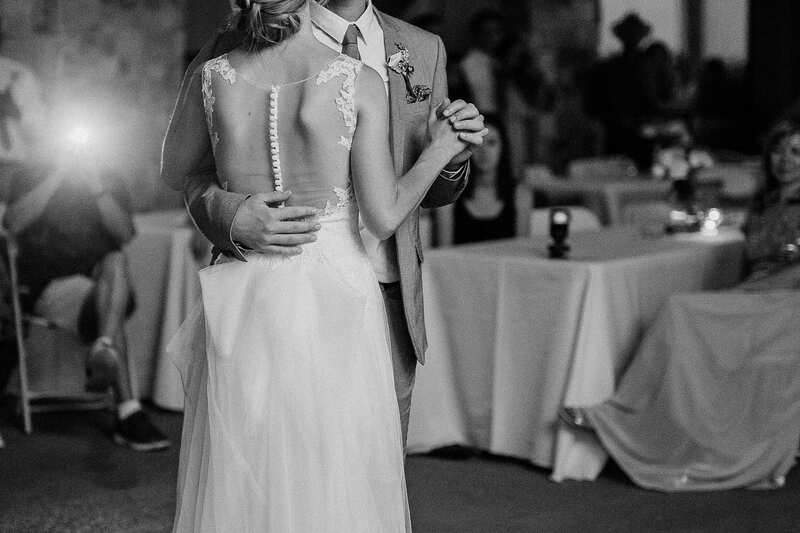 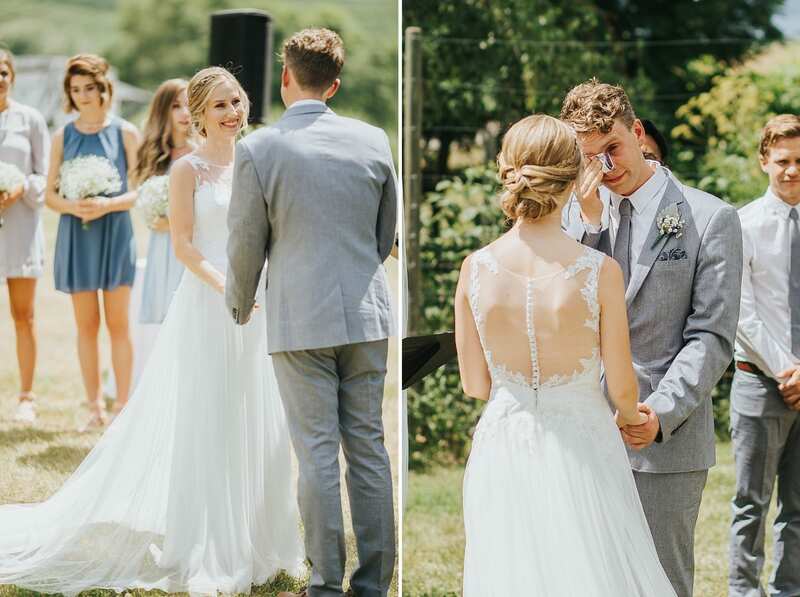 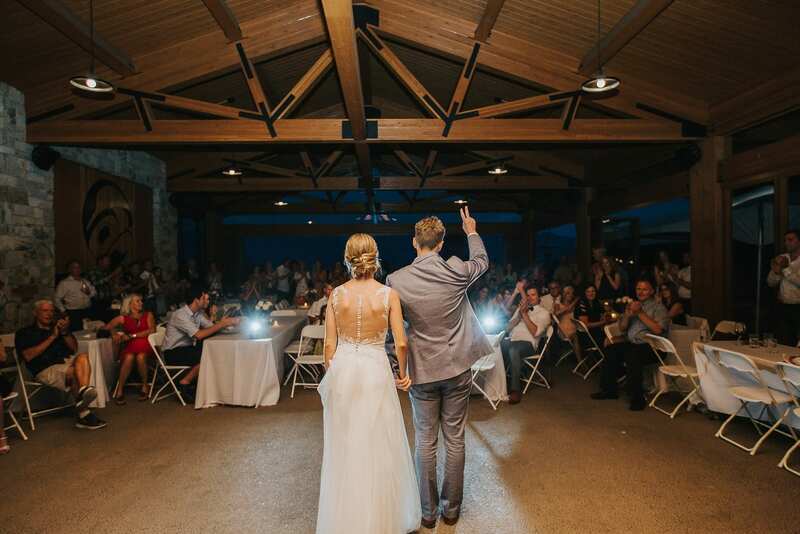 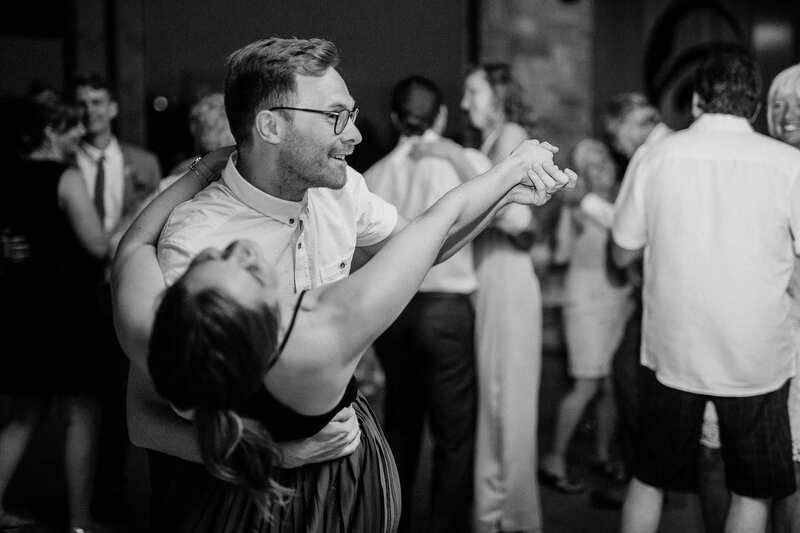 Once back in for dancing, Sam + Travis shared a sweet moment on the dance floor followed by their parents and then the floor was open for all the guests! 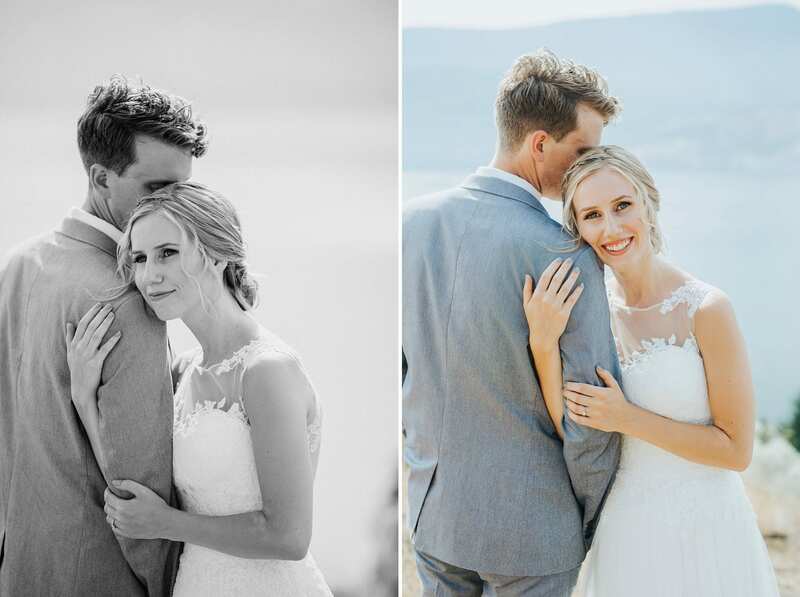 This Two Eagles Wedding was a delight for us photograph and we pray The Lord will bless these two in their lives together! 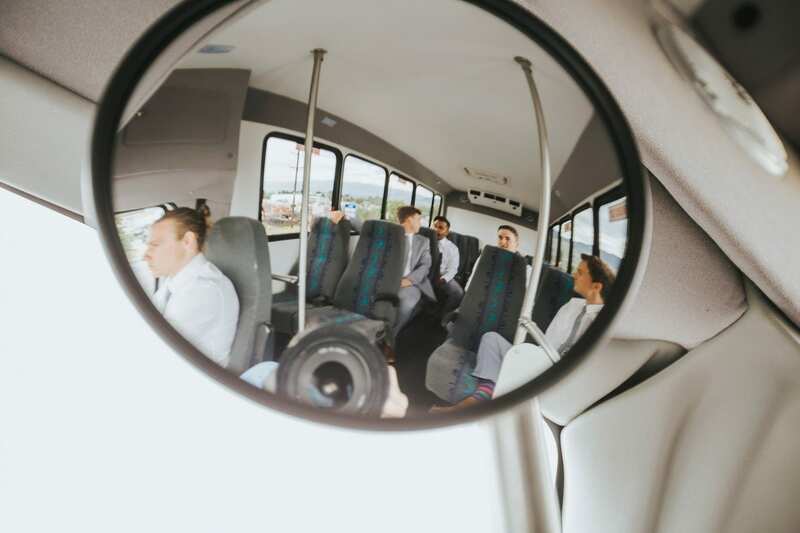 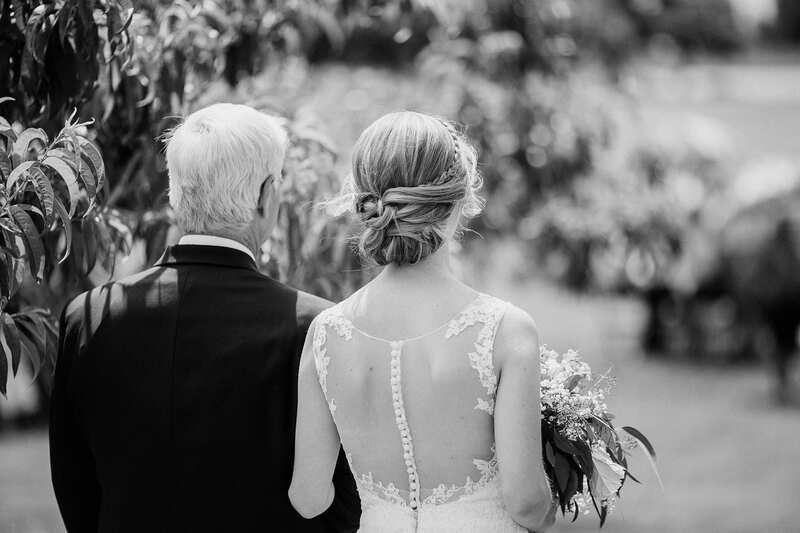 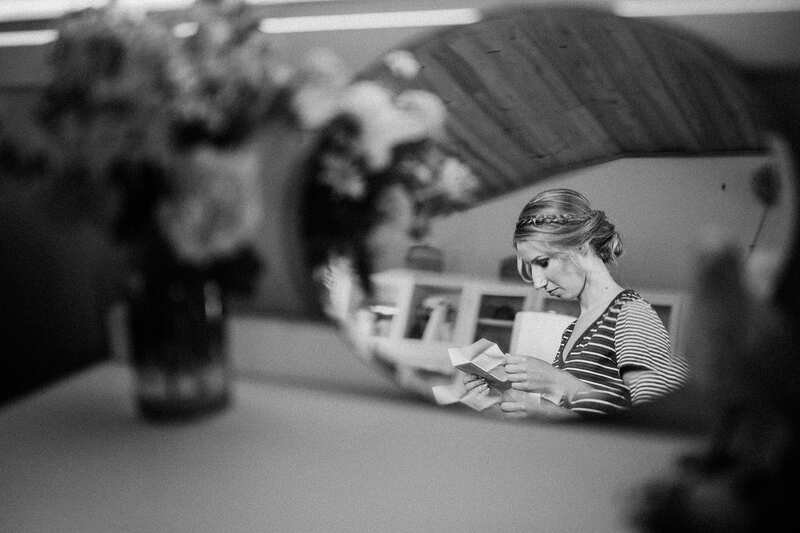 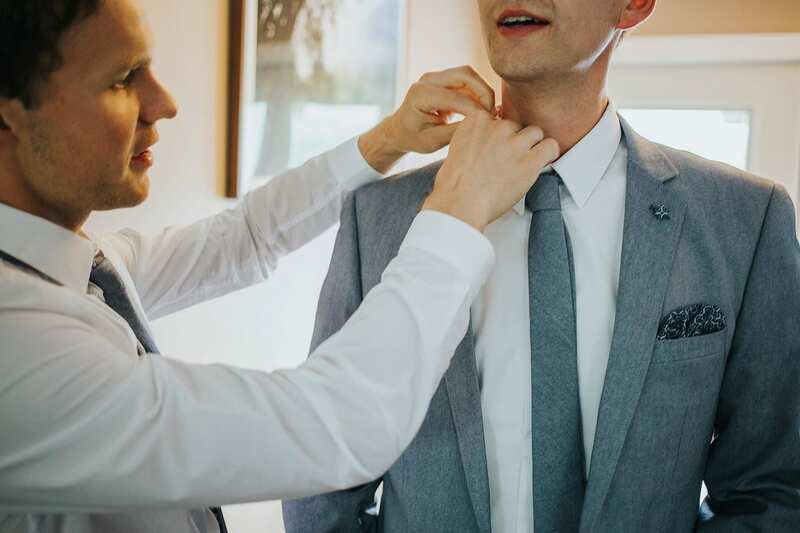 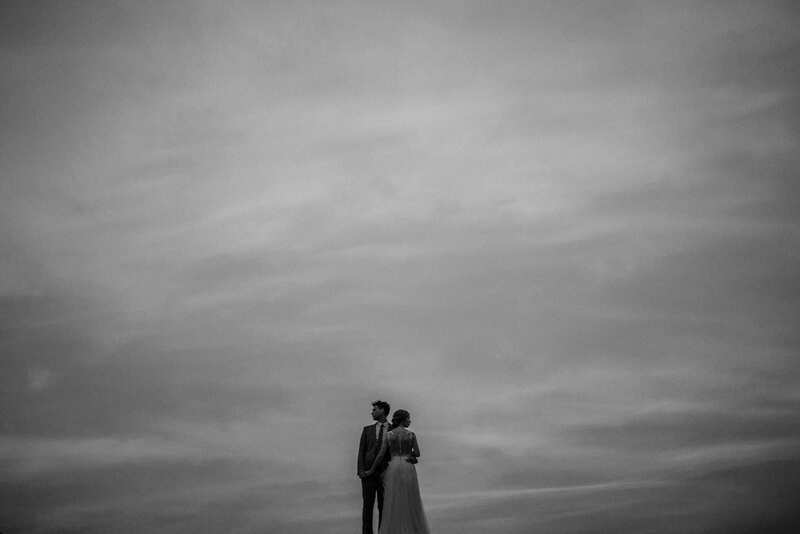 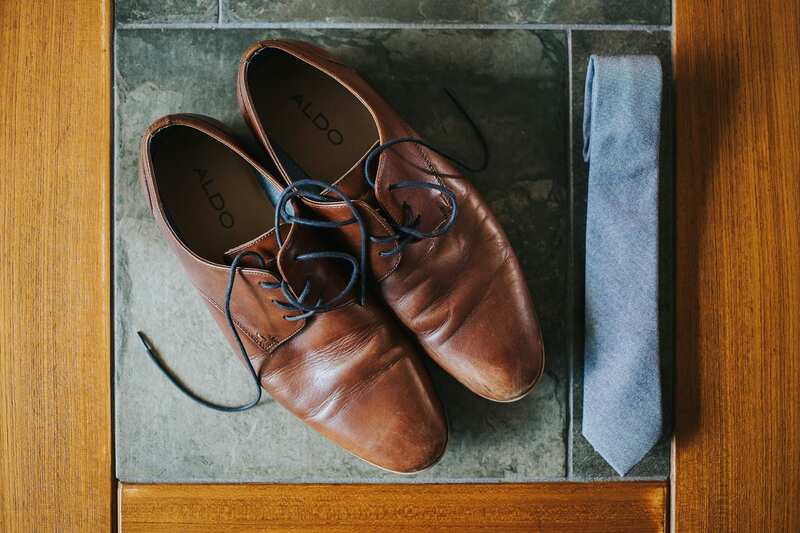 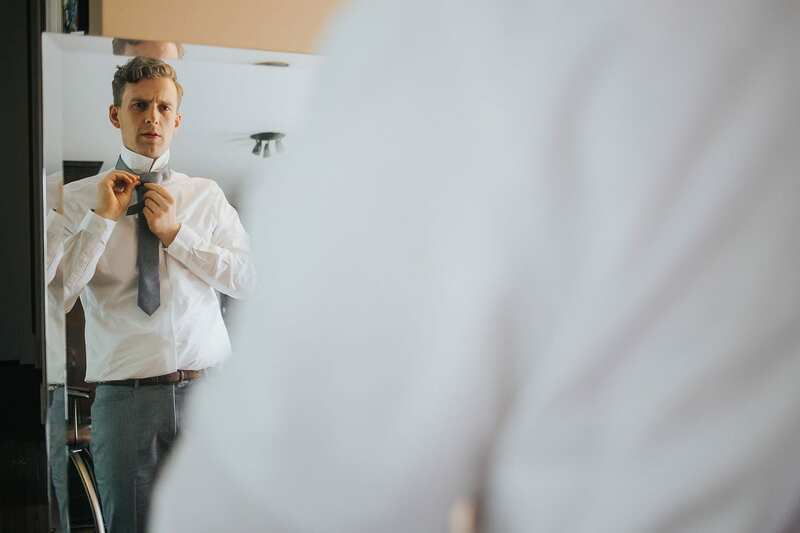 Check out more of our wedding photography on Facebook and Instagram!